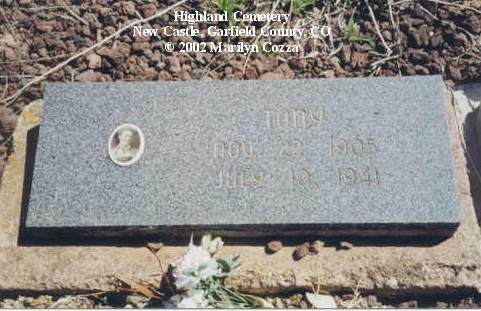 Susan's photos shot during a summer vacation in 1999 kicked off the Colorado USGenWeb Archives photo project. 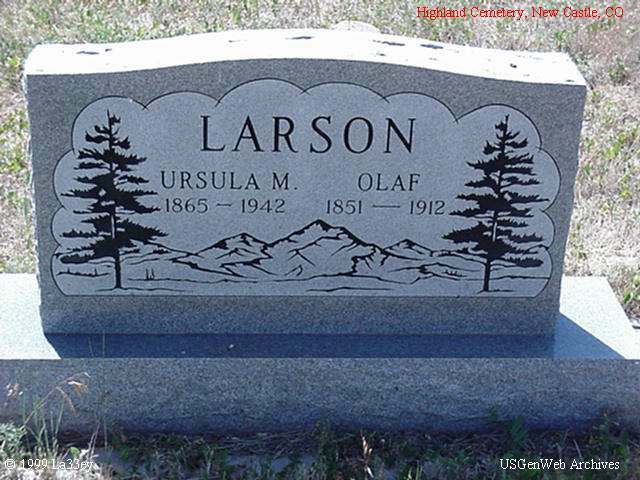 Thanks Susan! 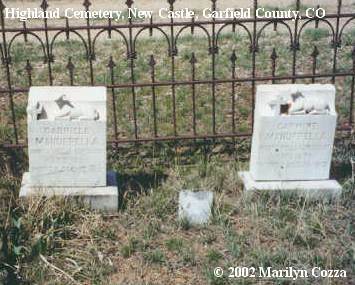 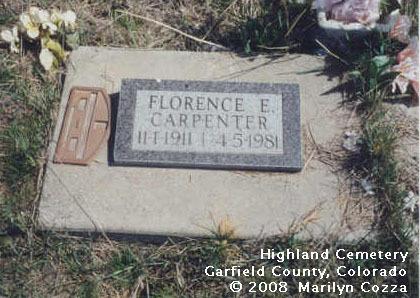 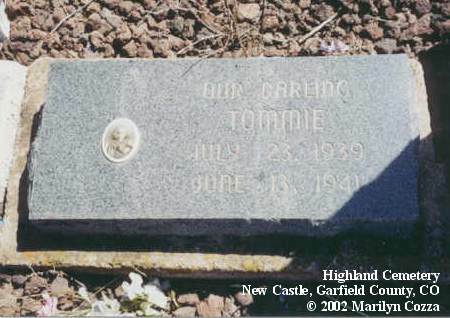 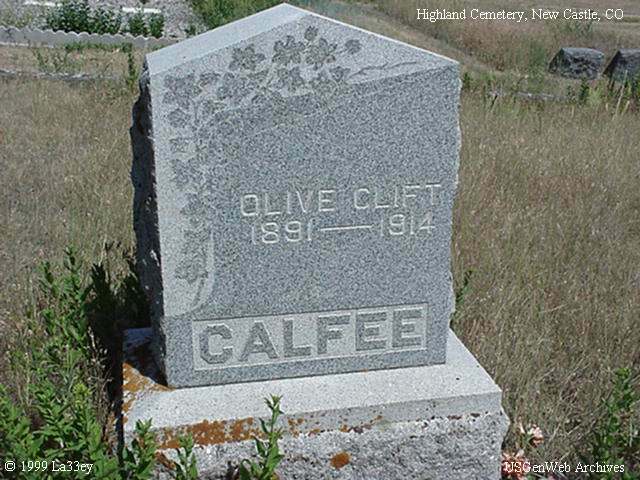 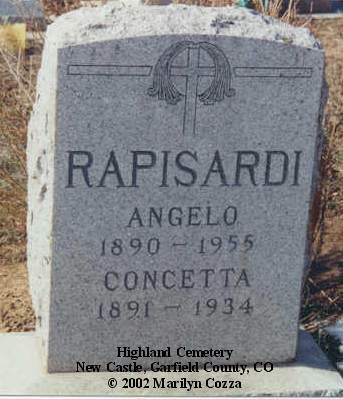 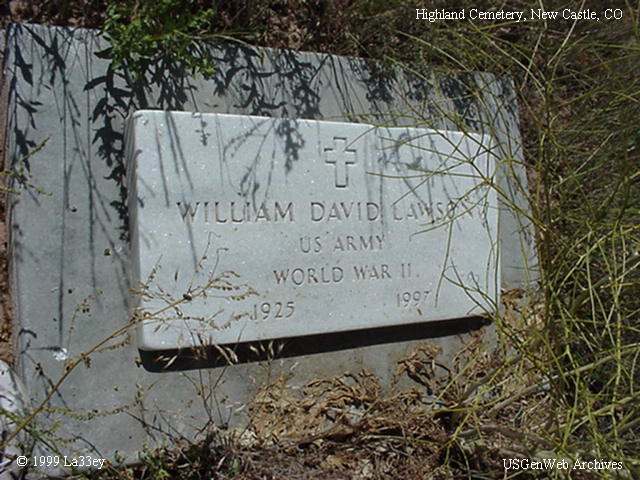 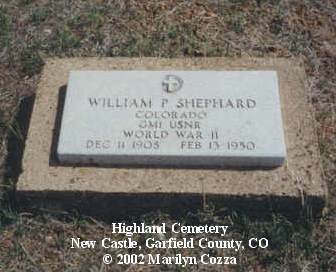 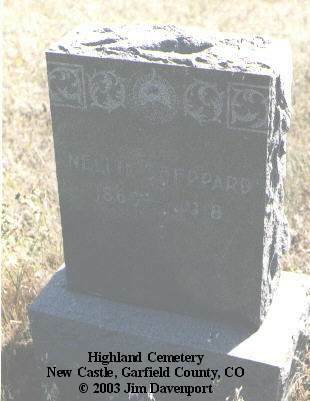 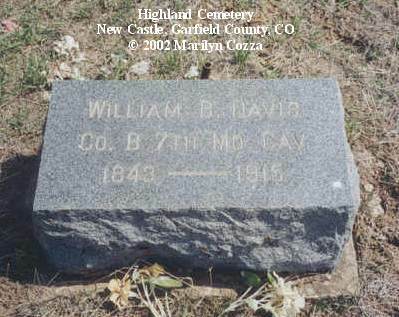 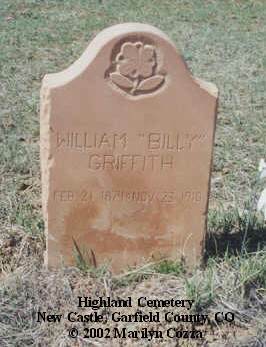 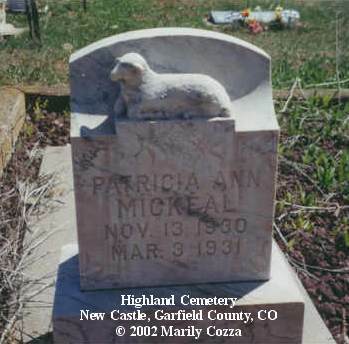 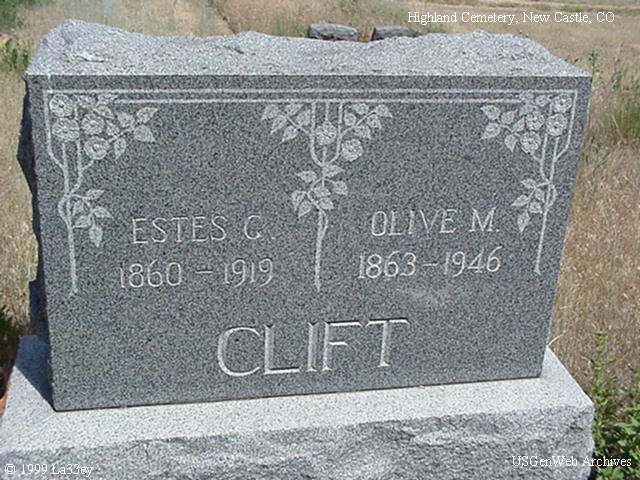 The Highland Cemetery is located at the end of C Street on the top of a hill in the east side of New Castle. 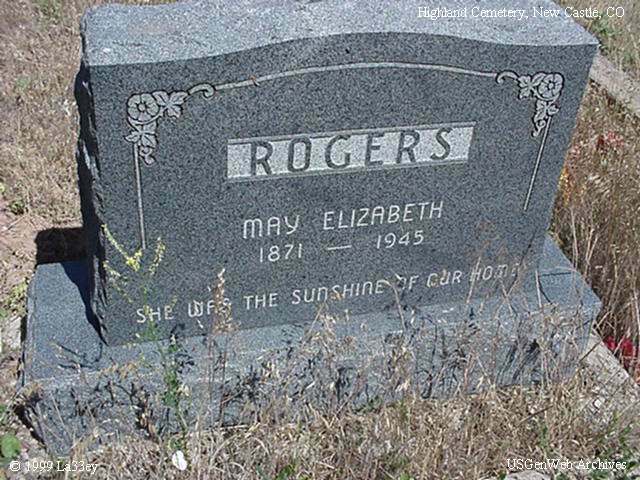 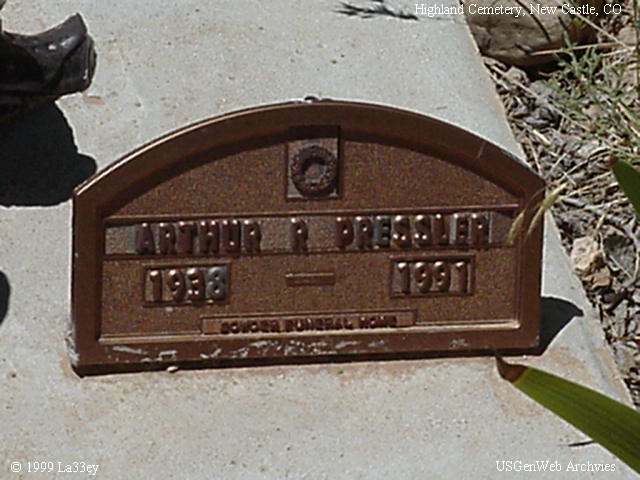 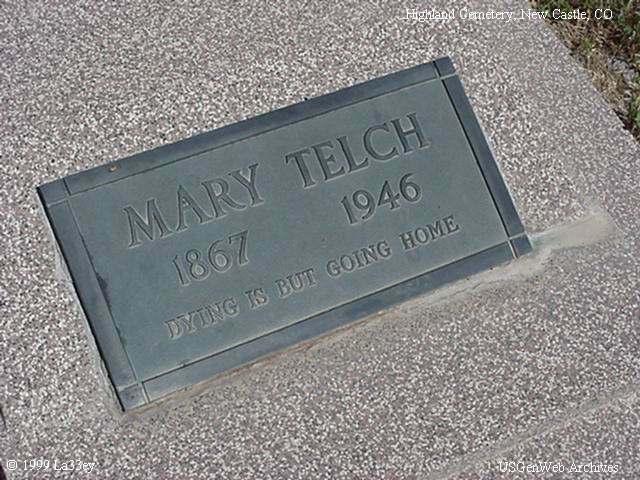 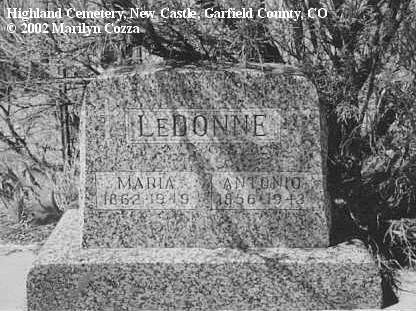 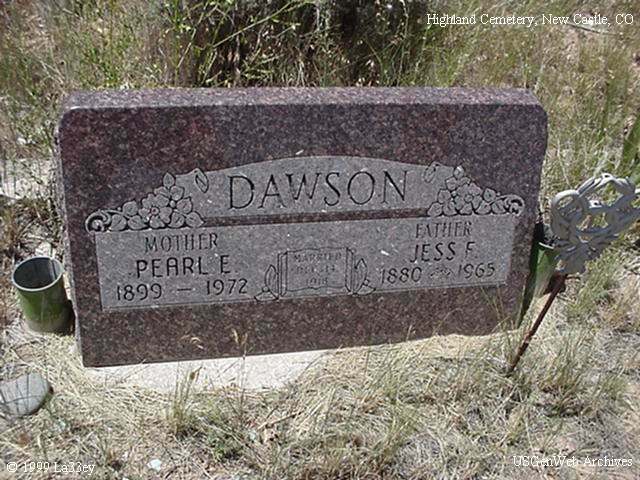 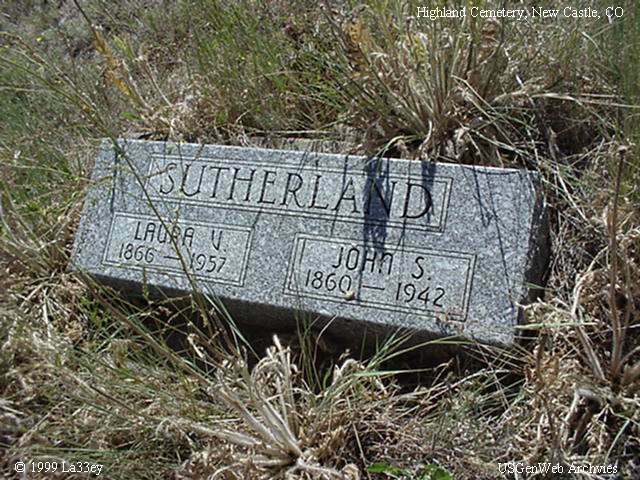 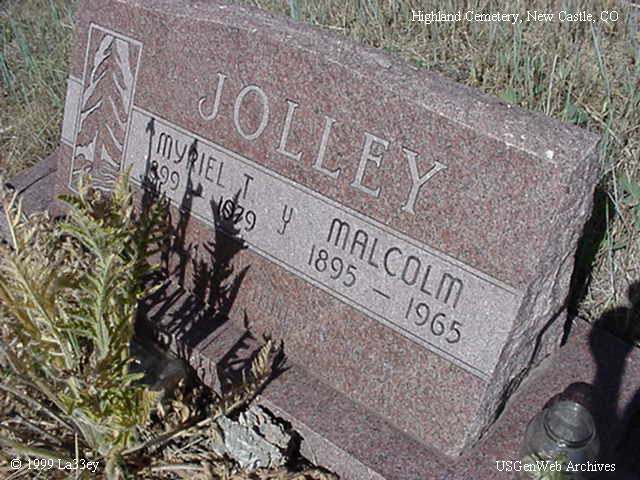 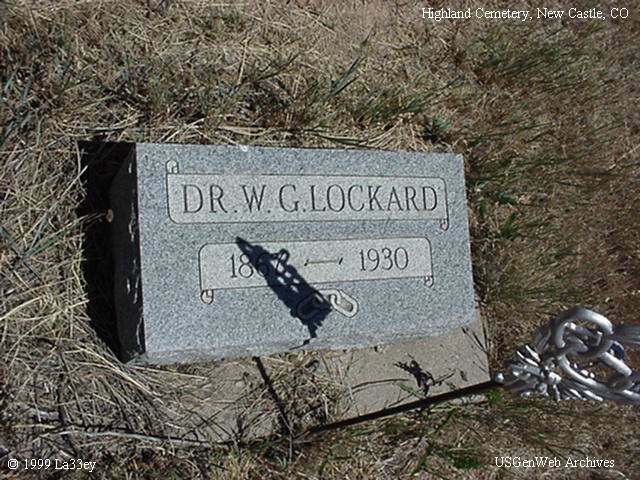 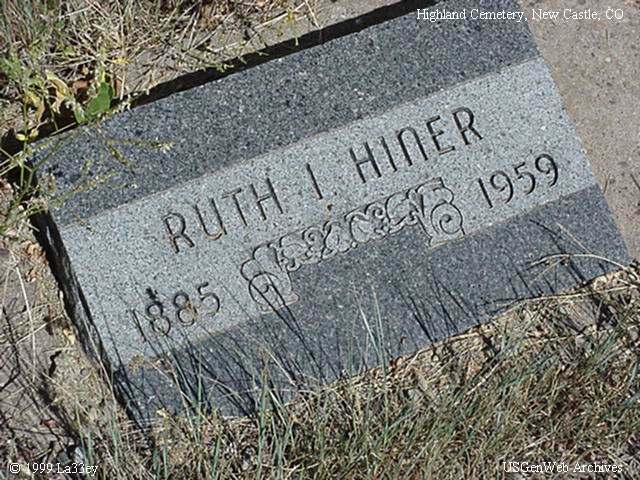 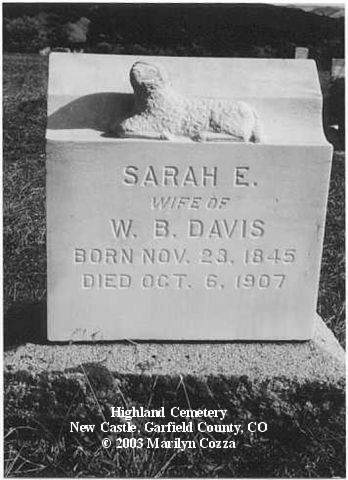 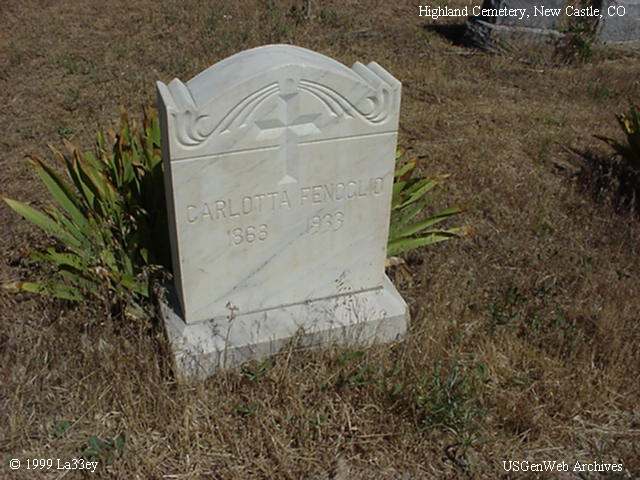 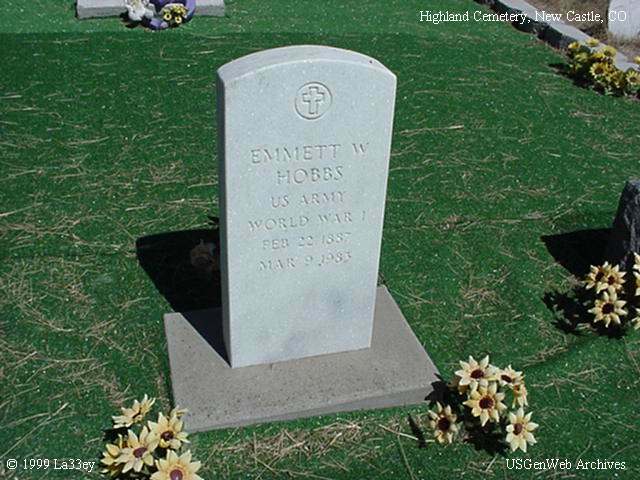 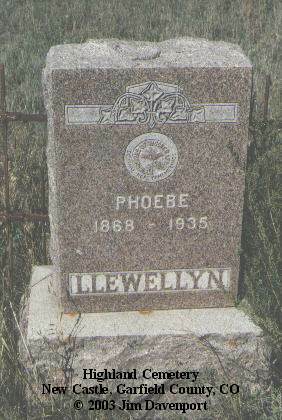 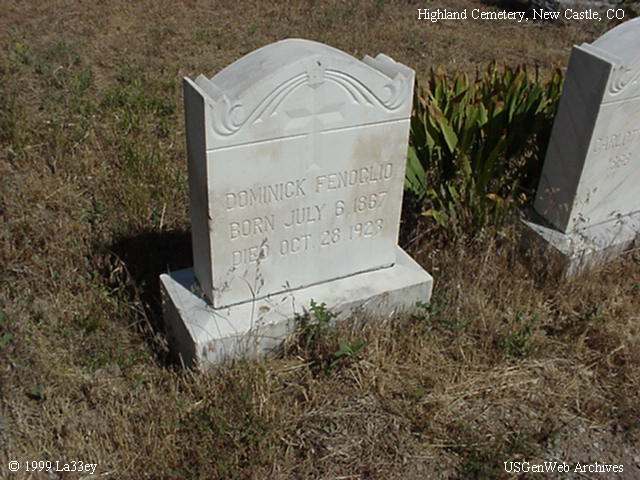 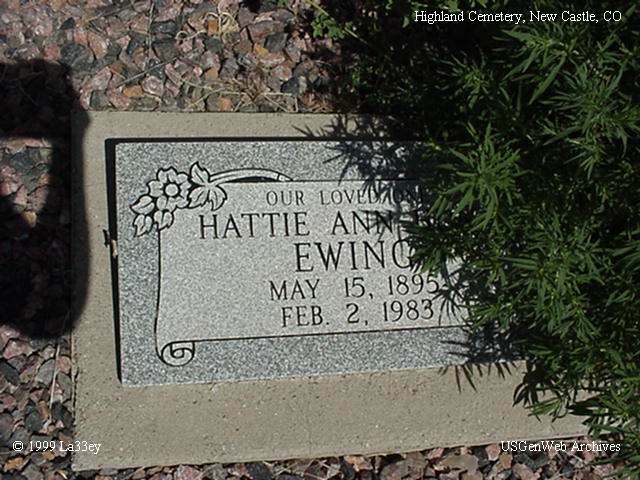 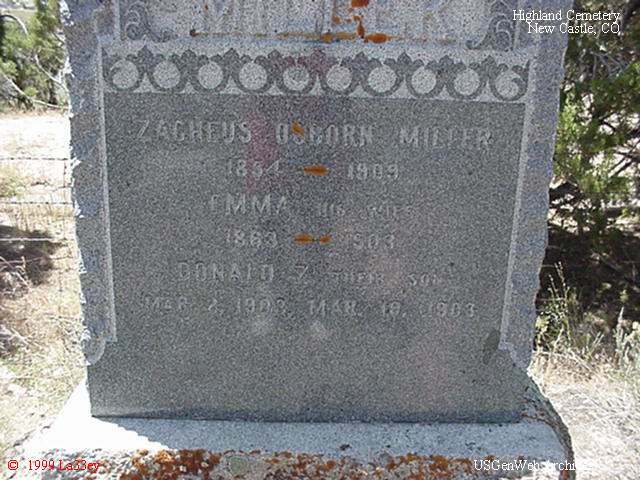 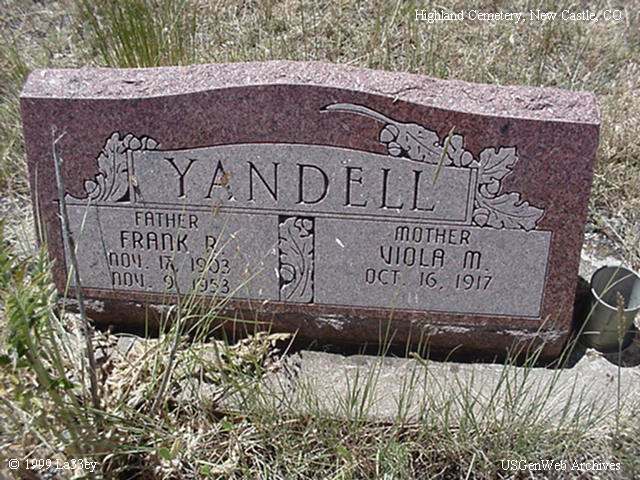 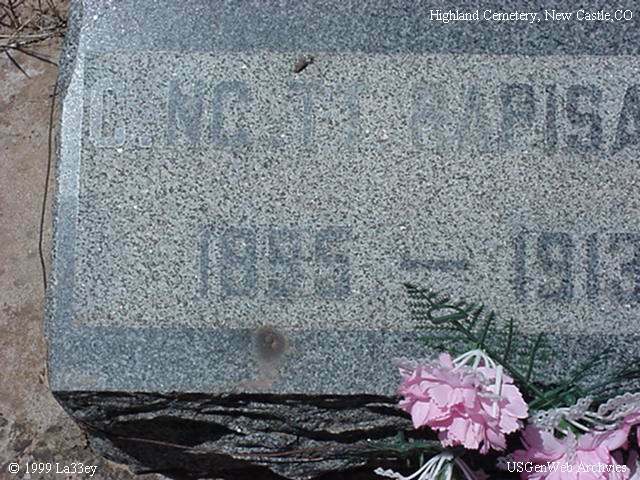 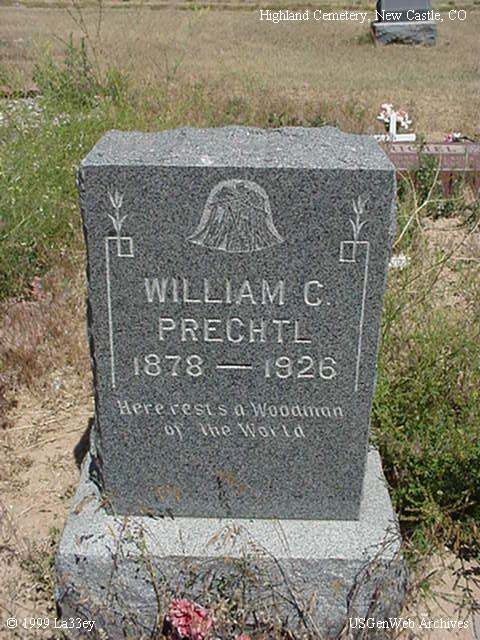 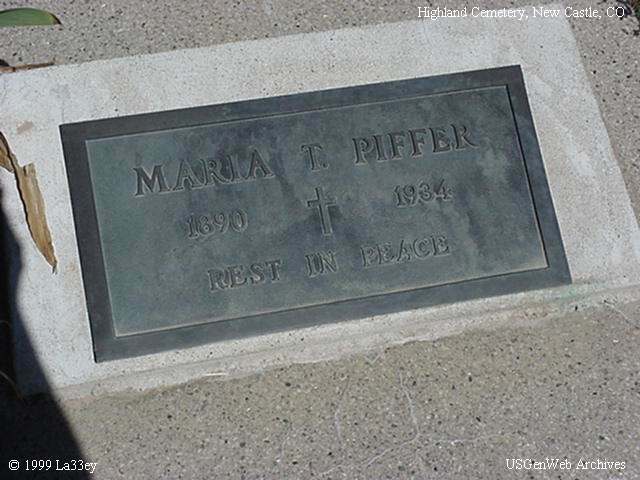 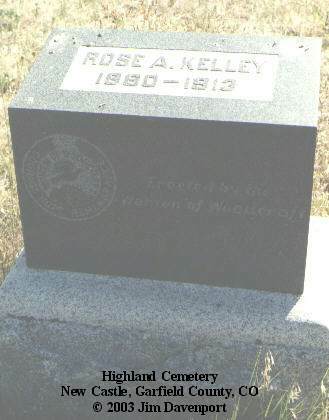 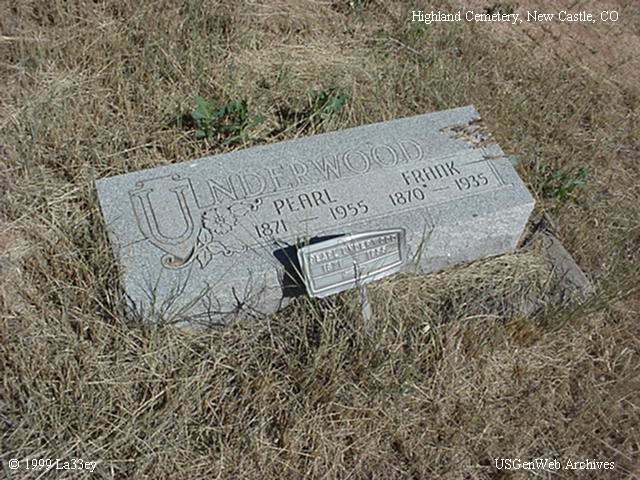 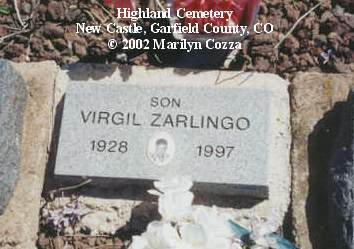 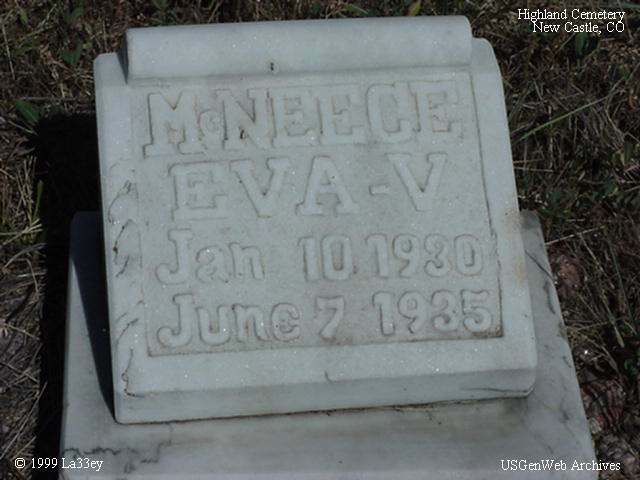 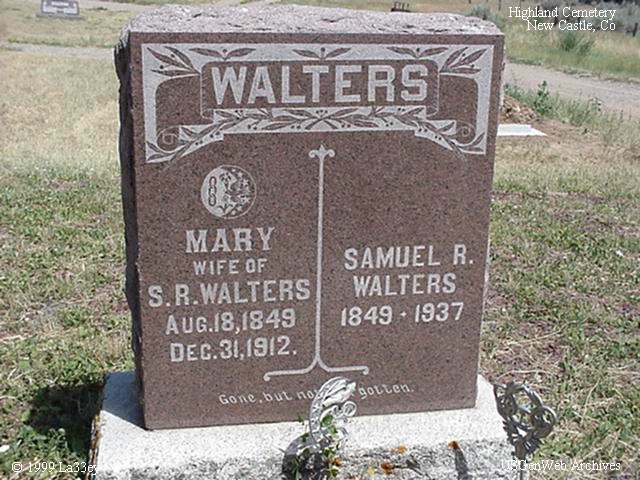 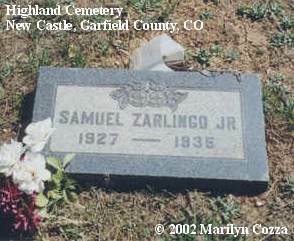 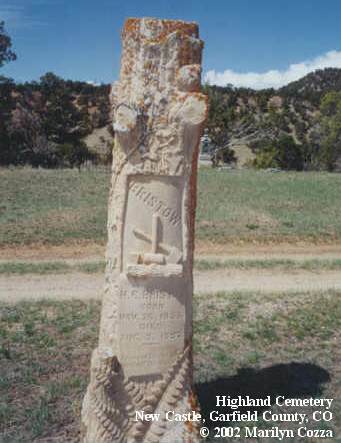 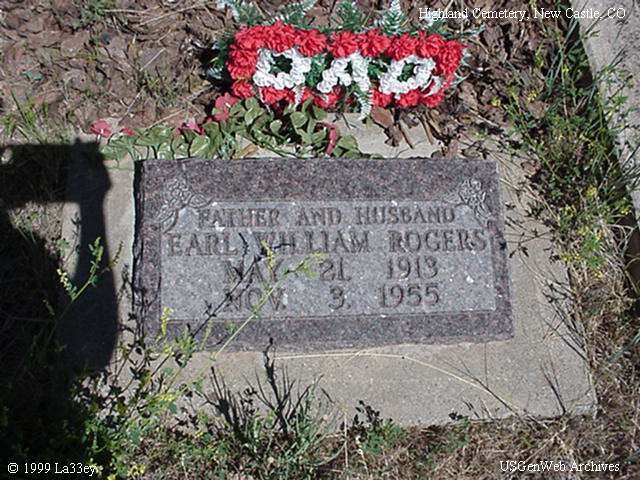 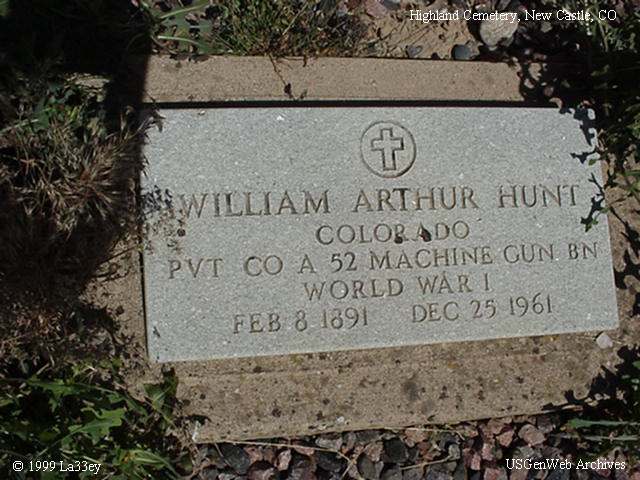 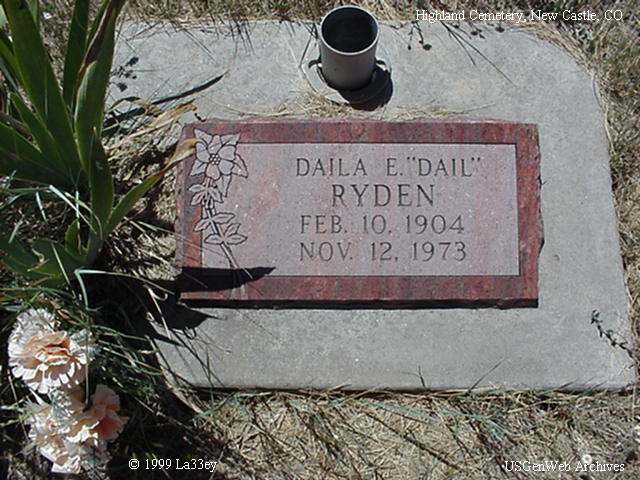 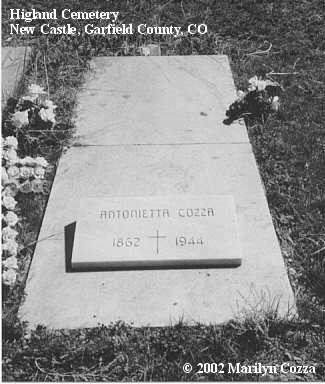 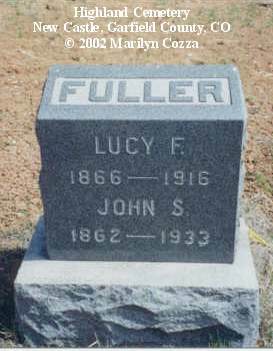 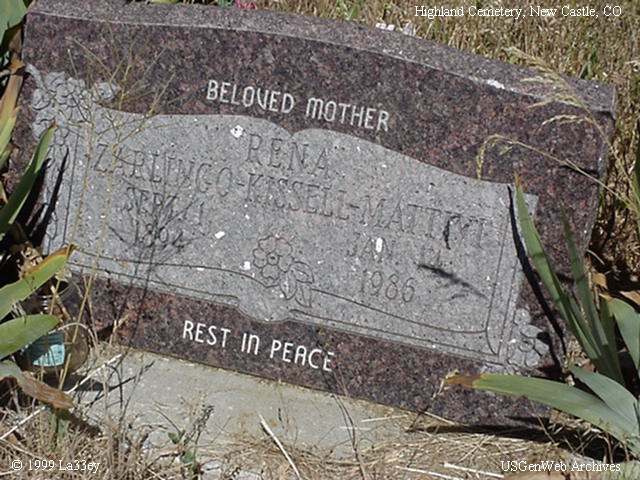 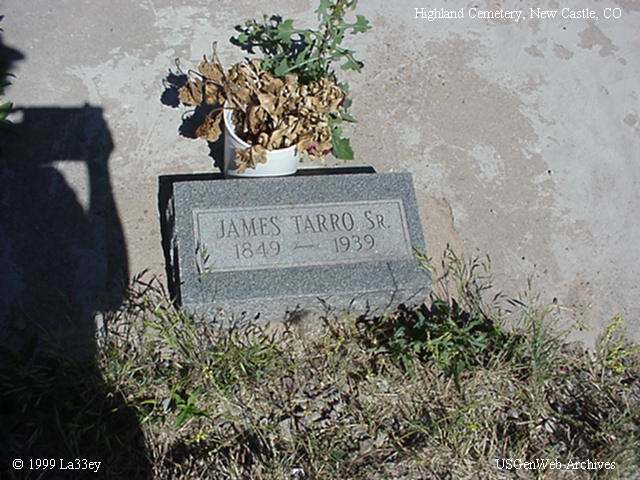 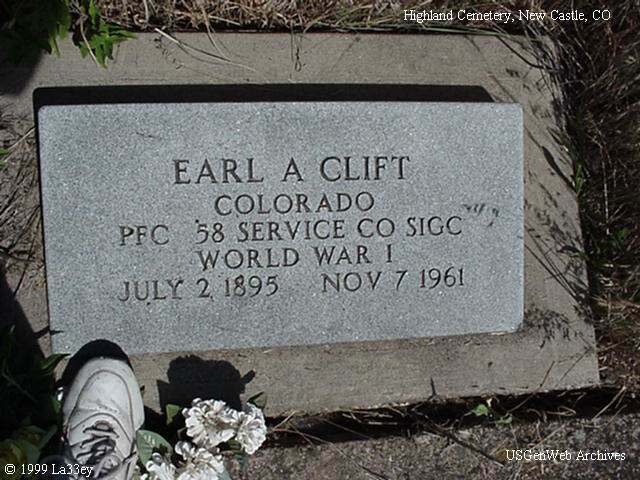 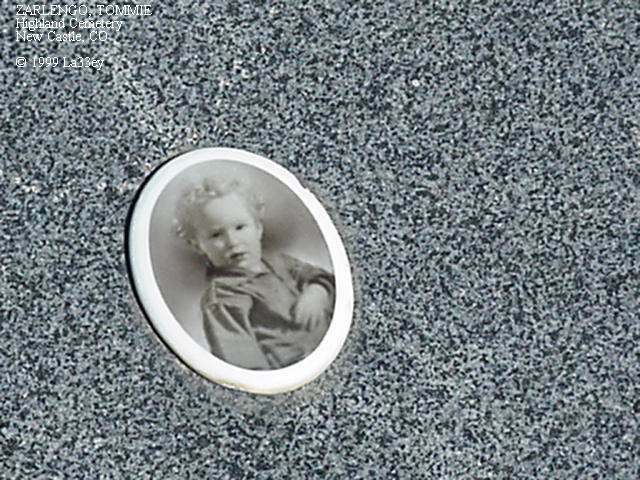 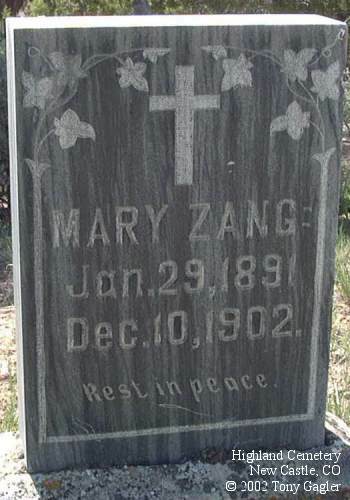 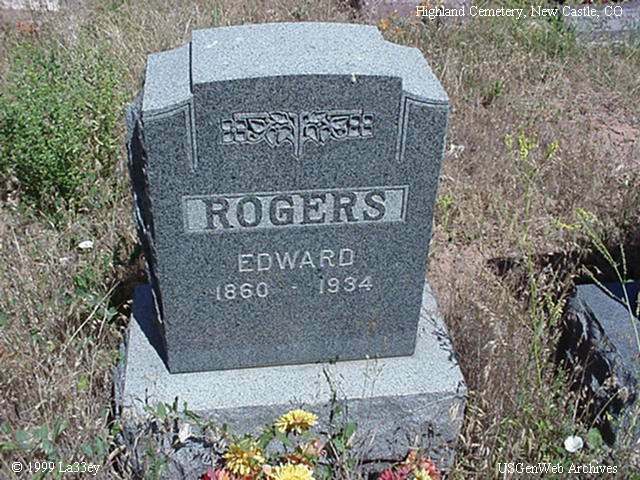 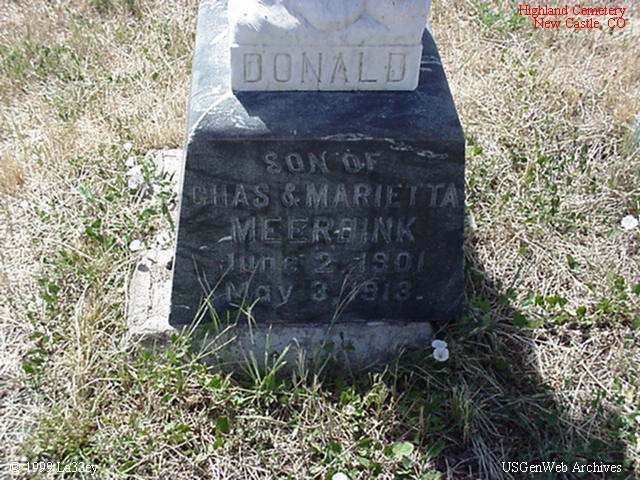 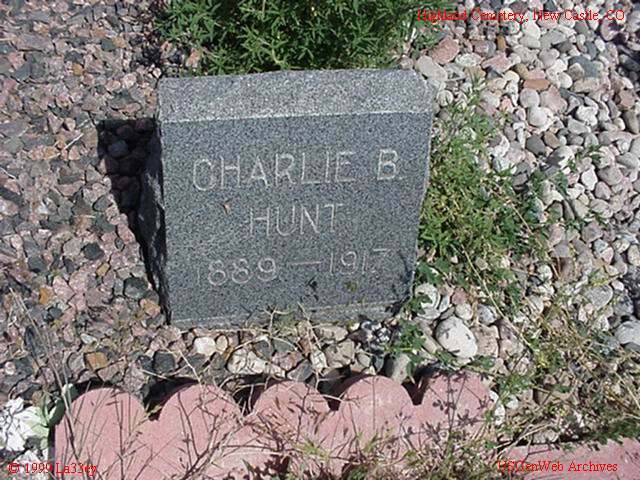 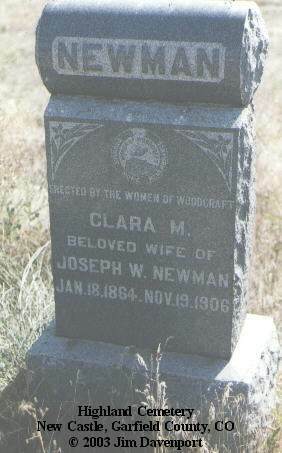 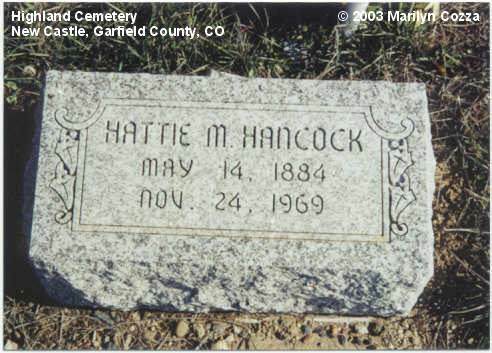 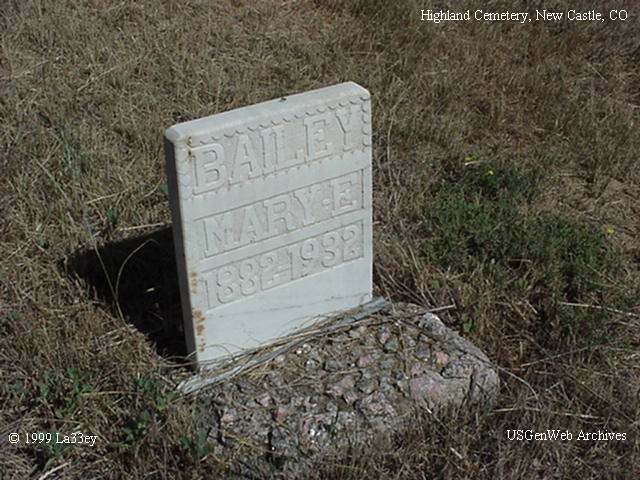 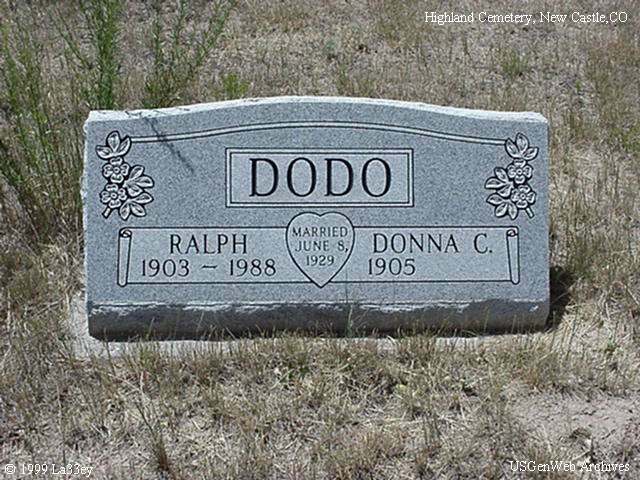 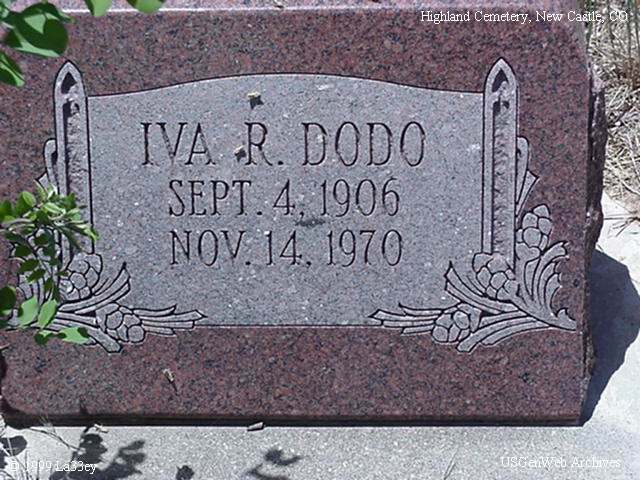 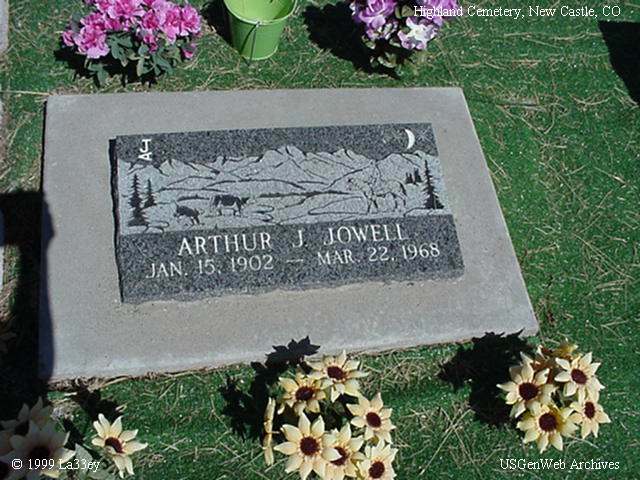 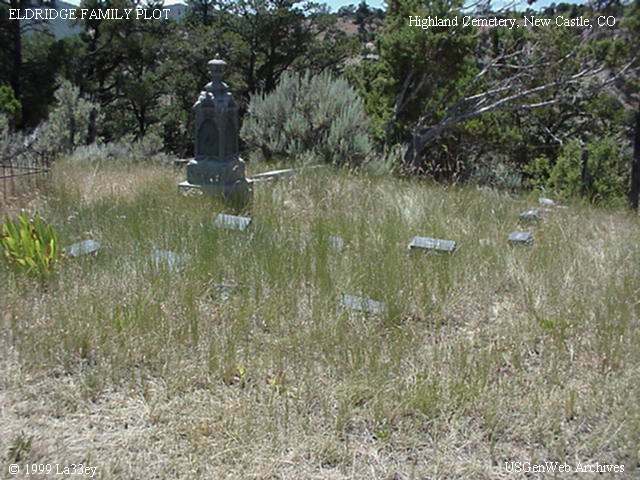 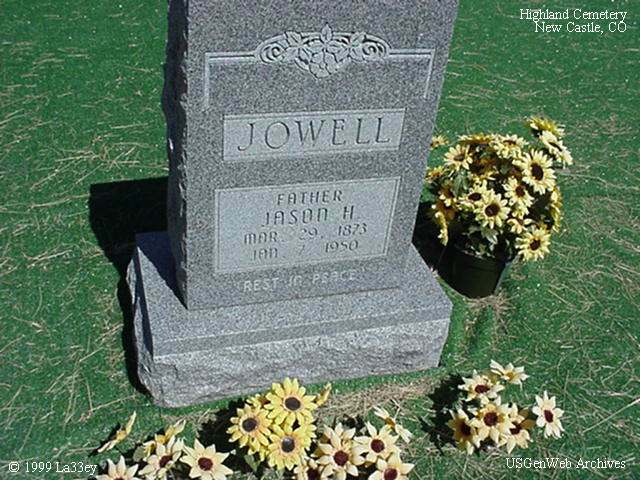 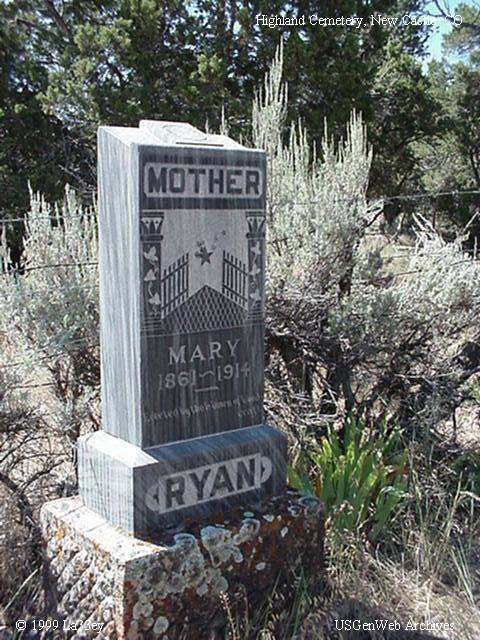 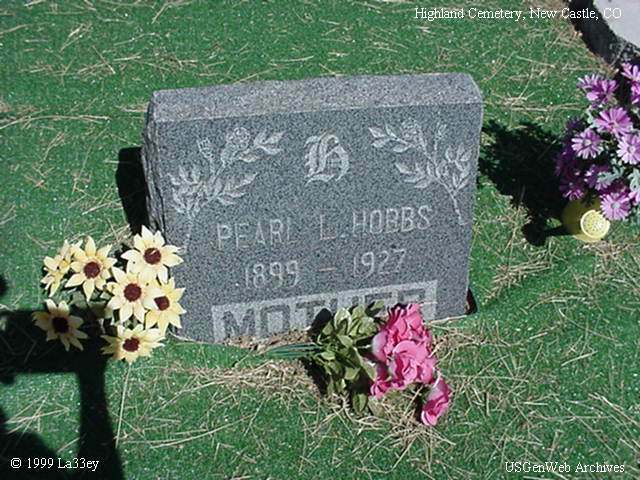 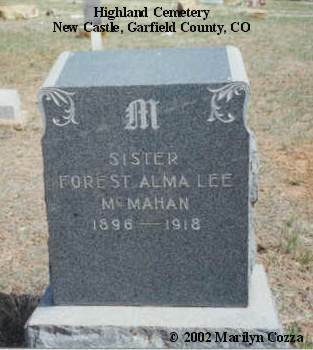 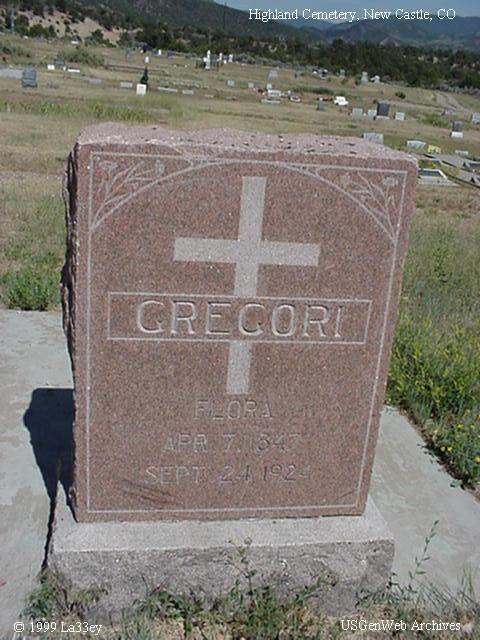 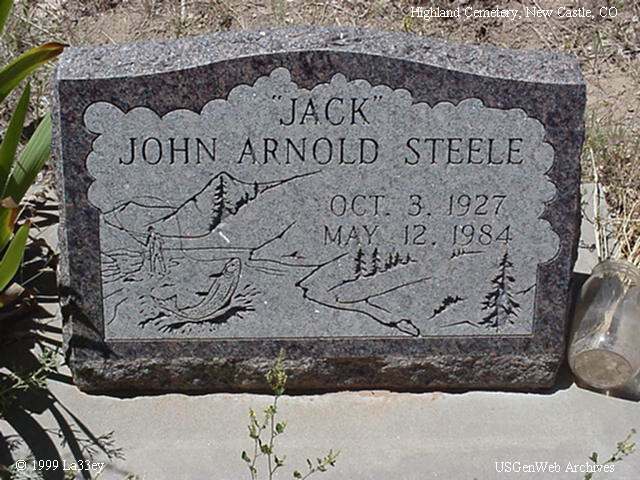 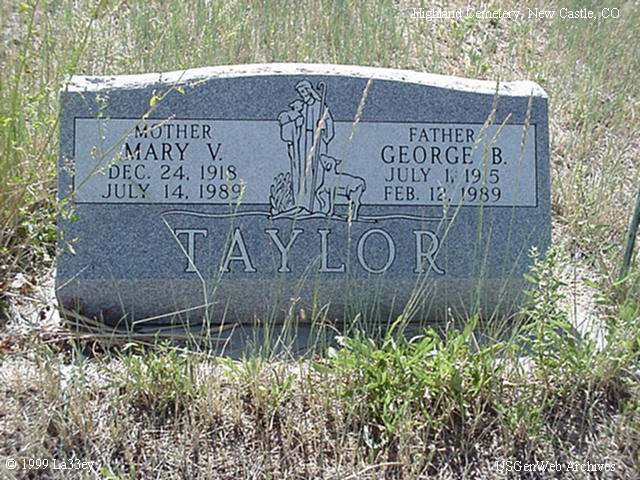 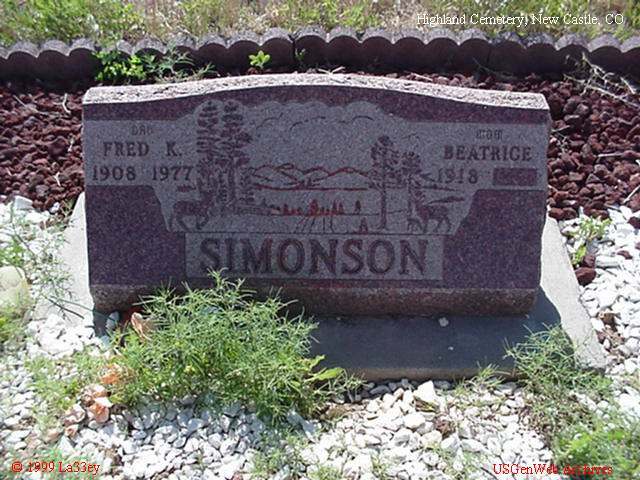 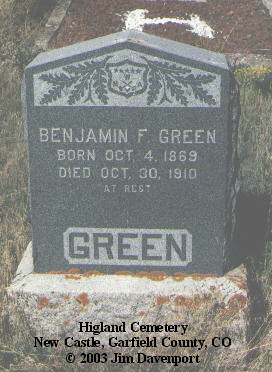 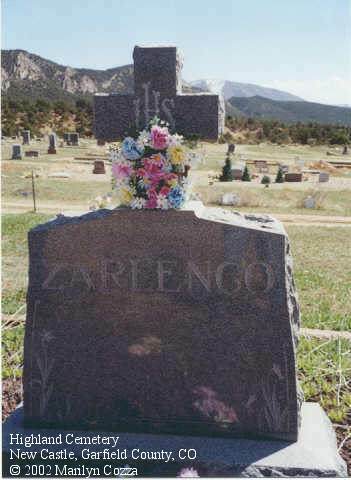 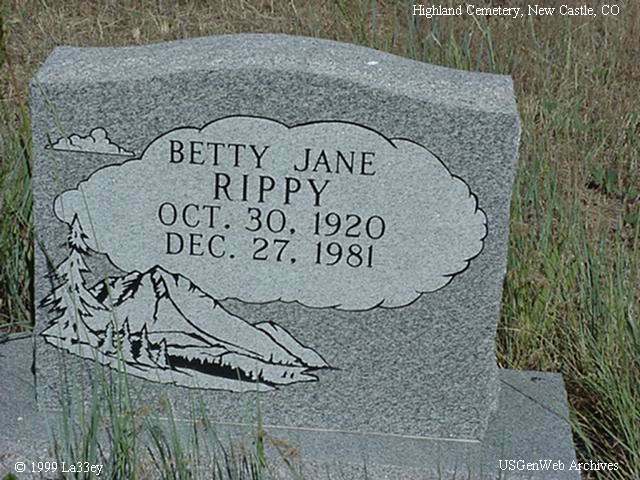 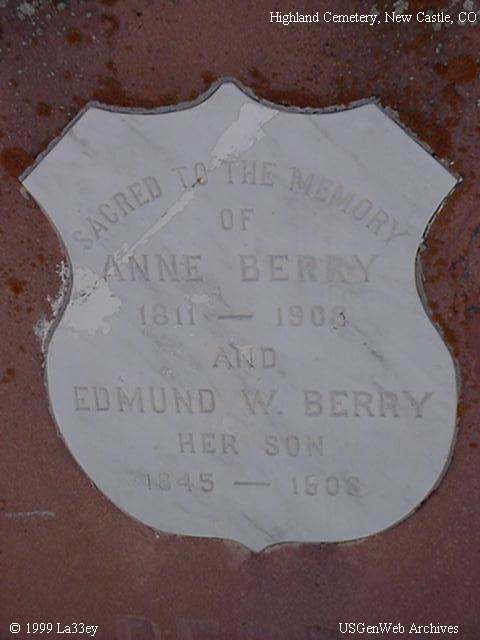 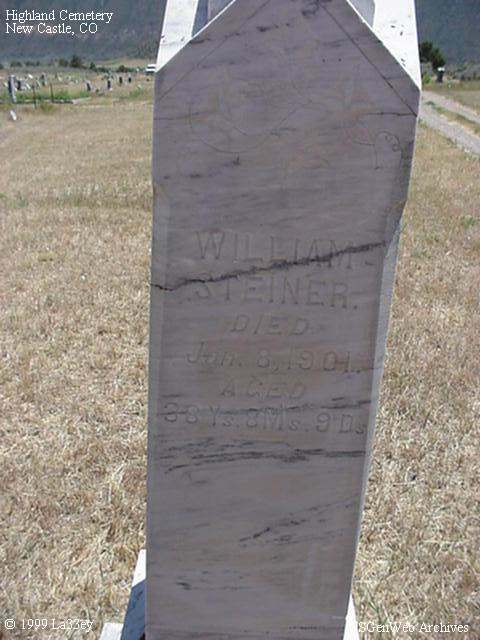 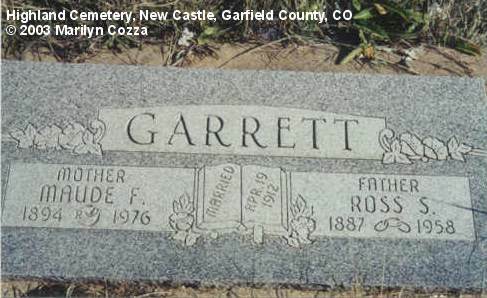 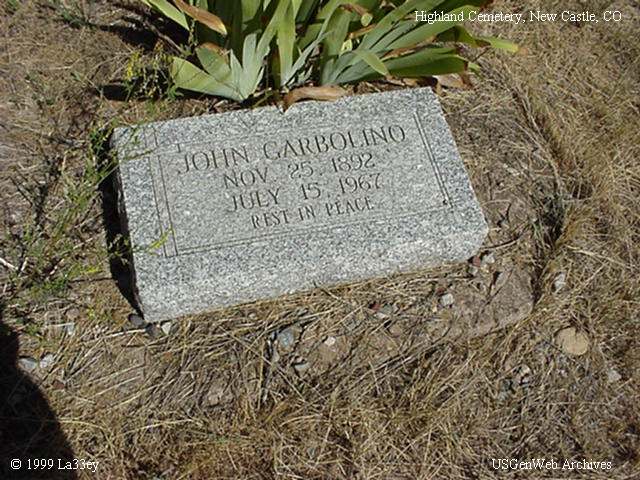 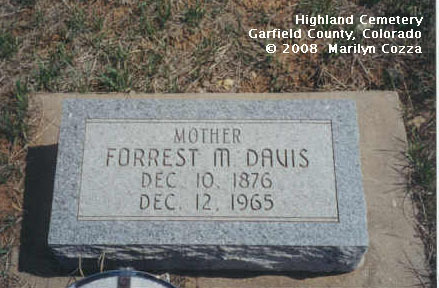 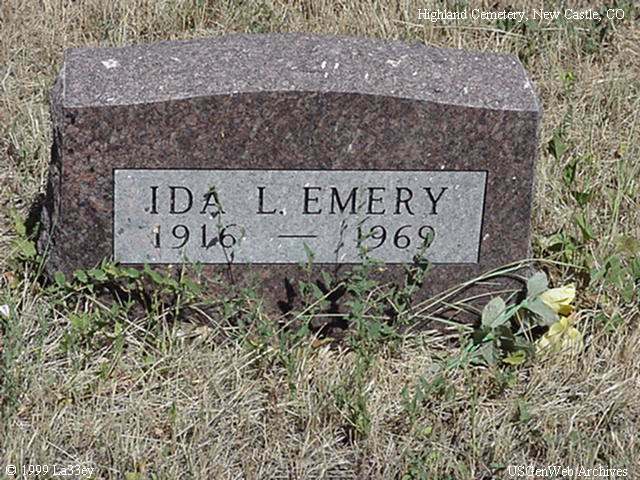 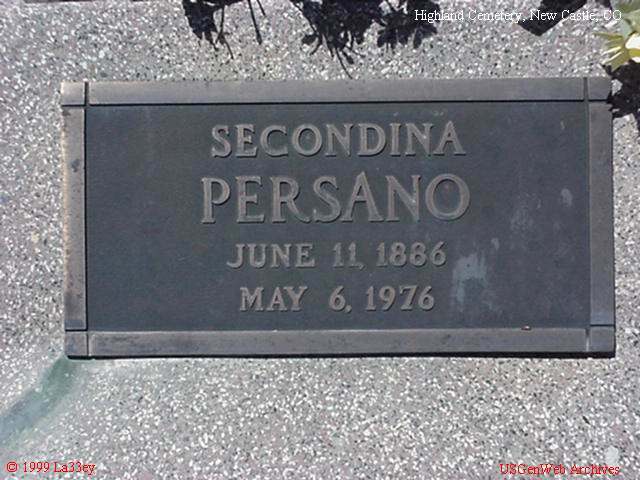 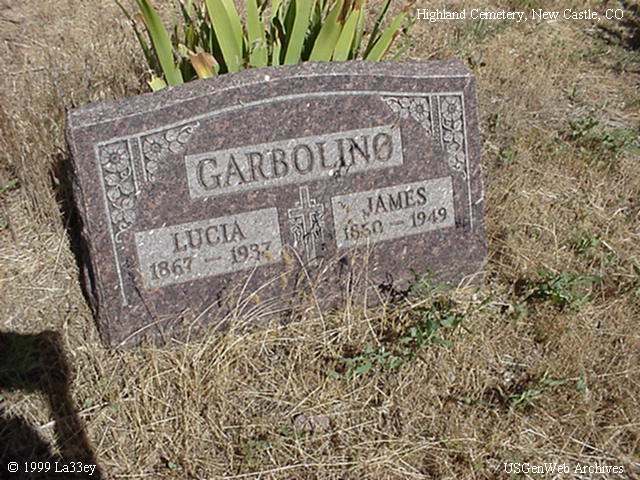 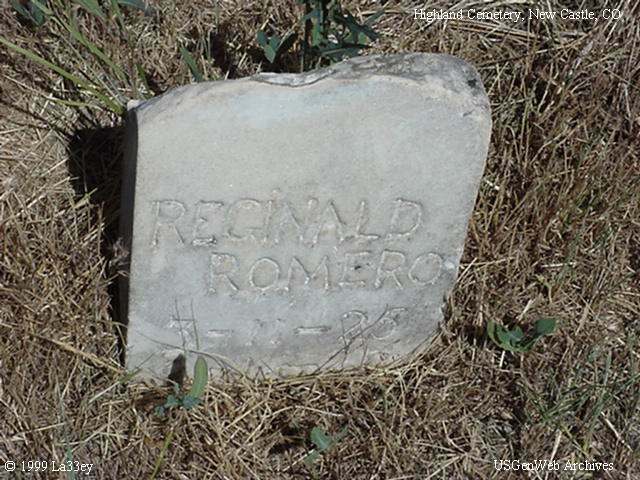 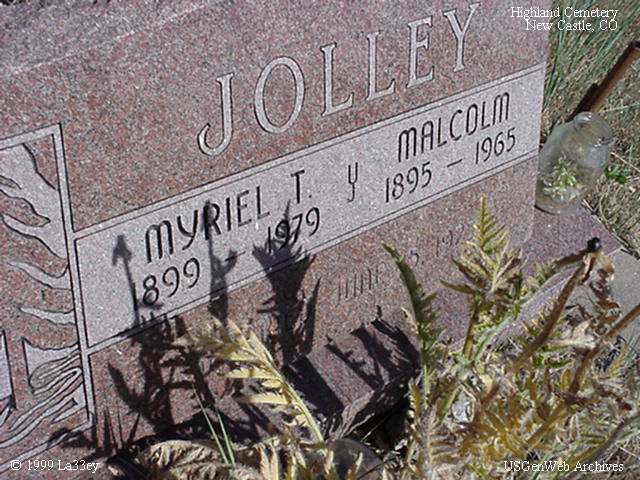 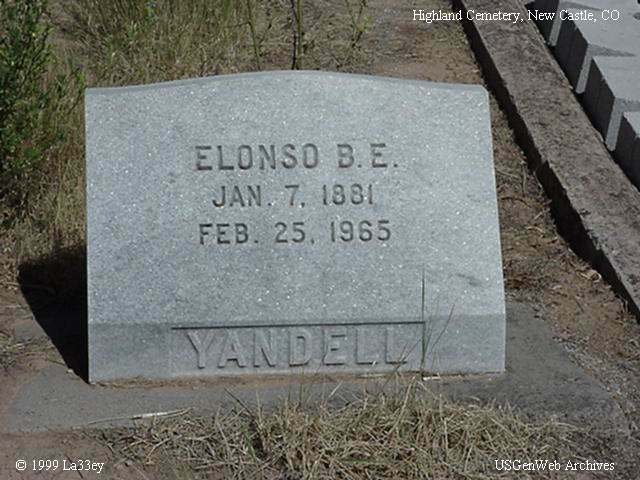 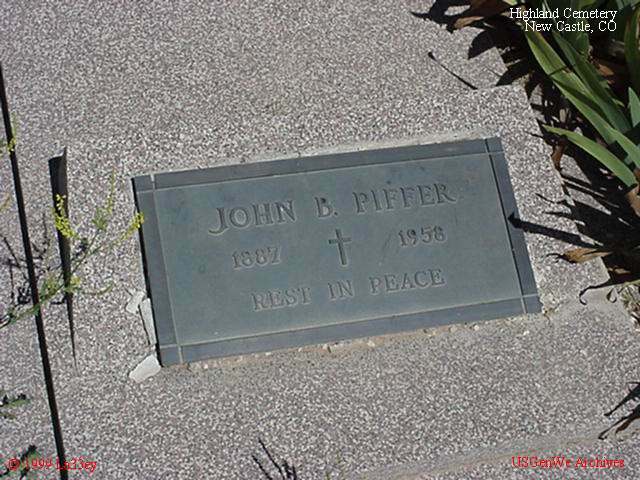 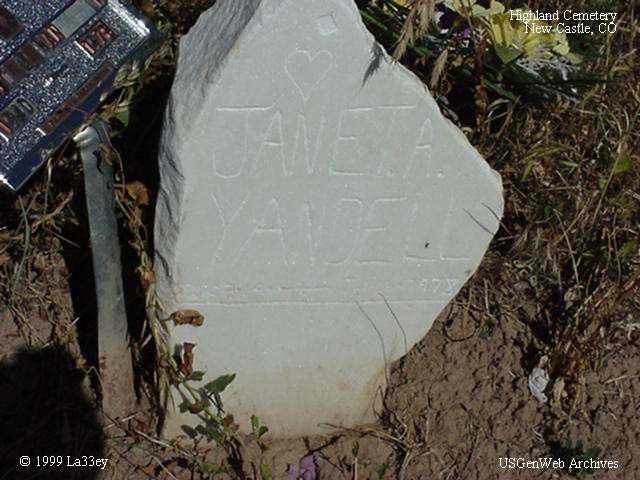 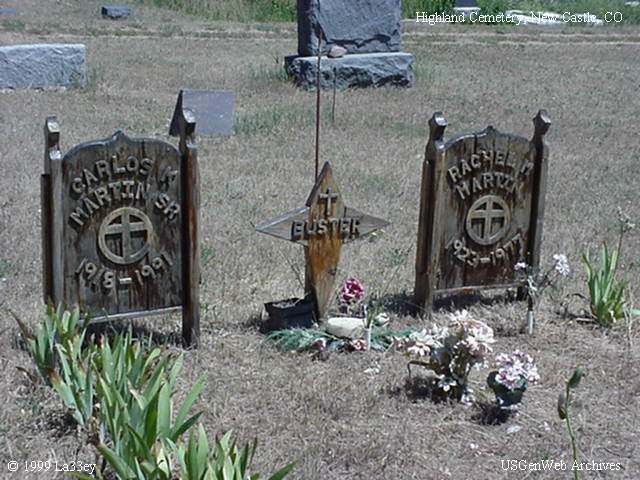 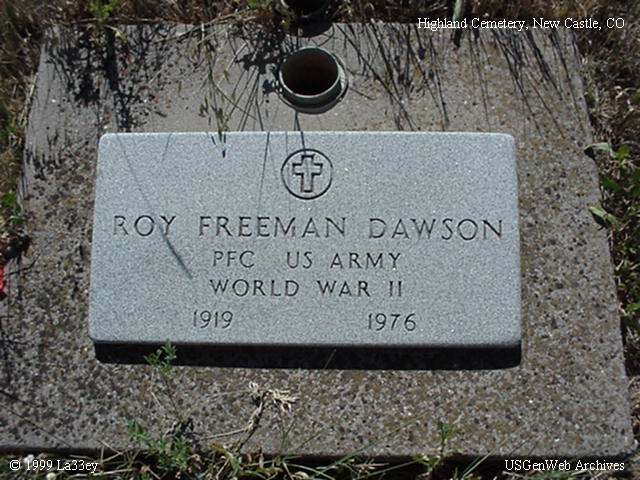 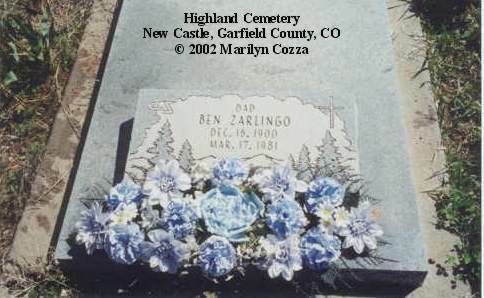 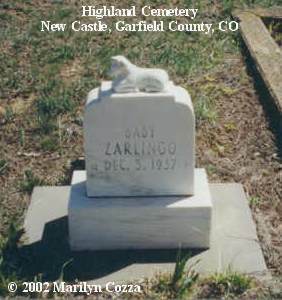 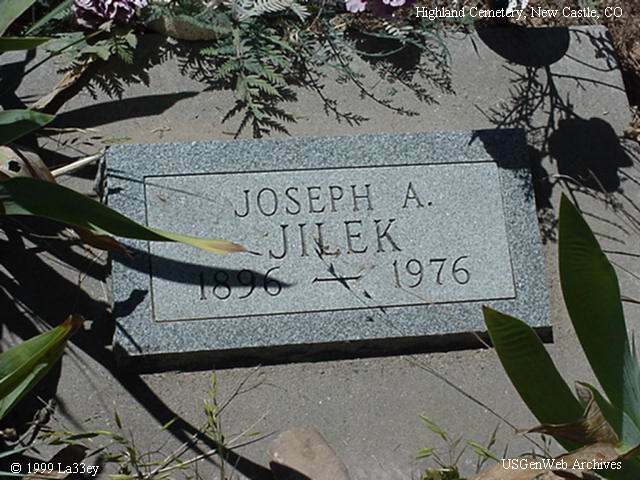 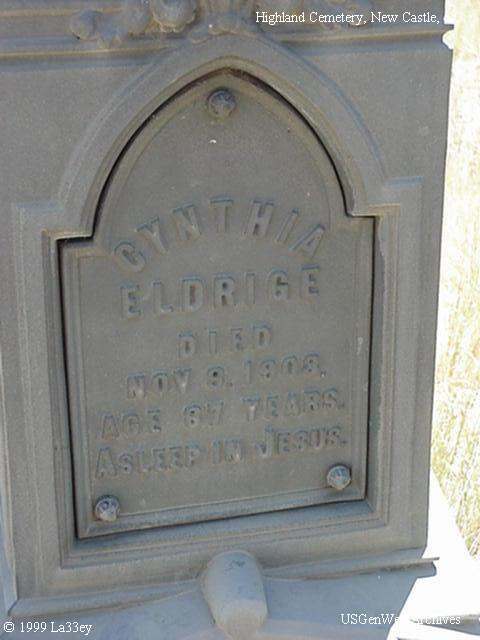 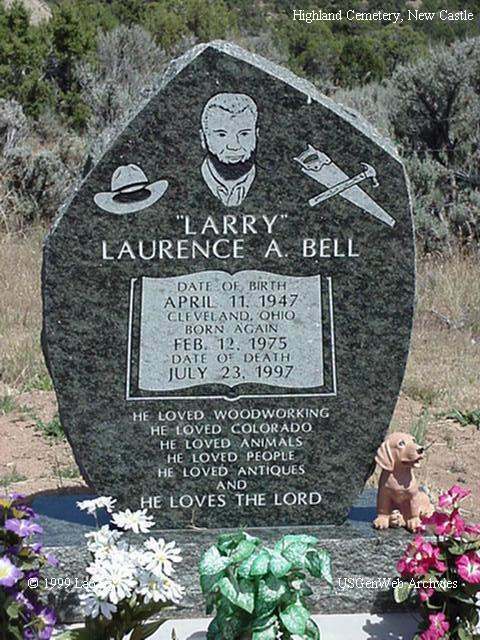 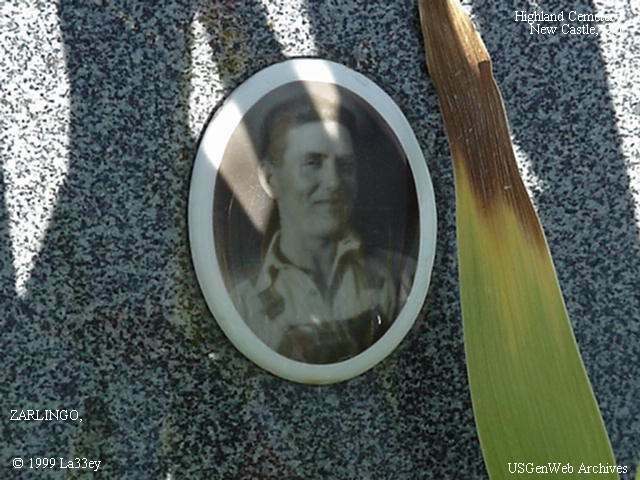 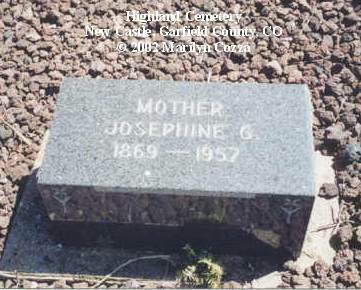 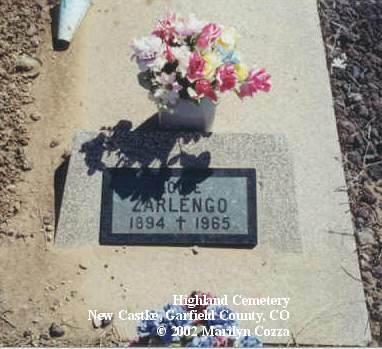 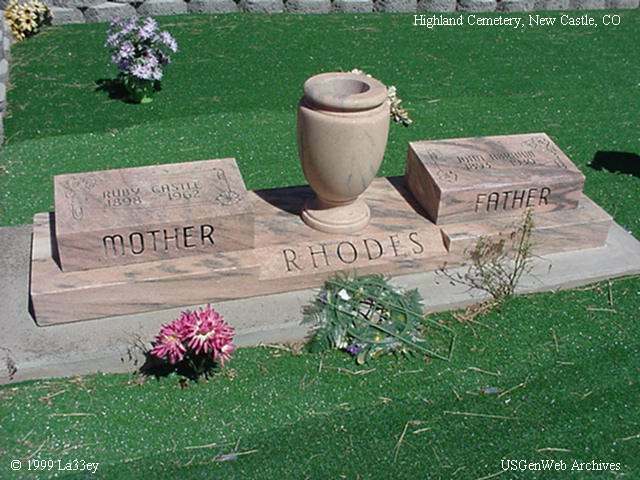 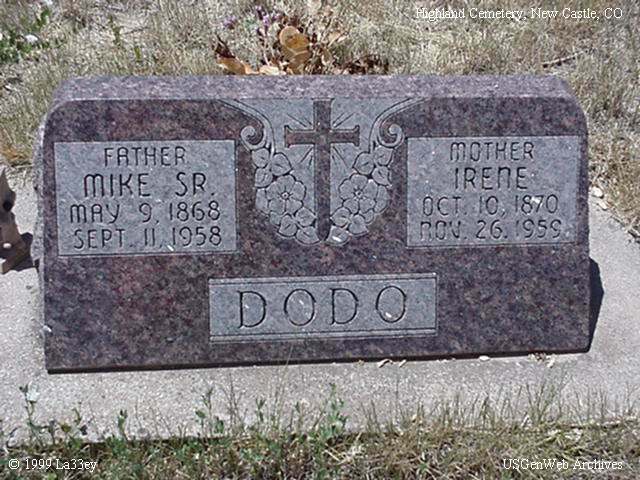 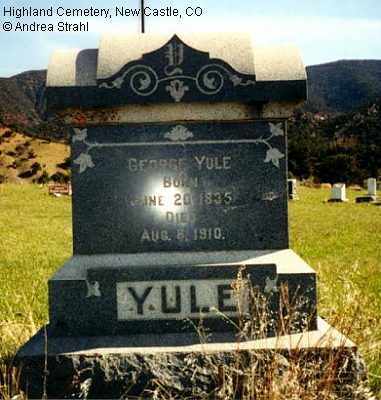 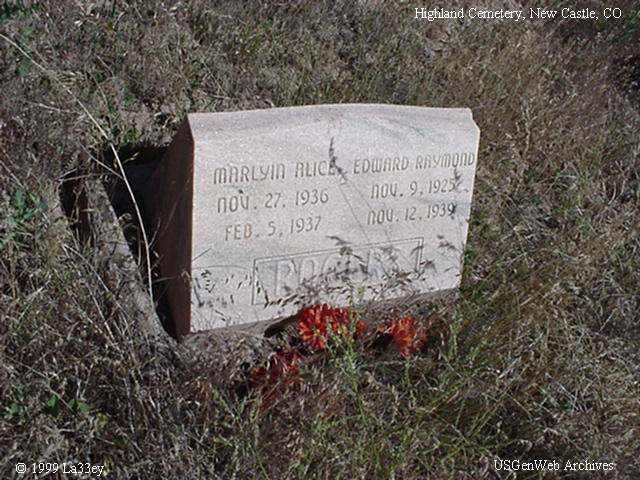 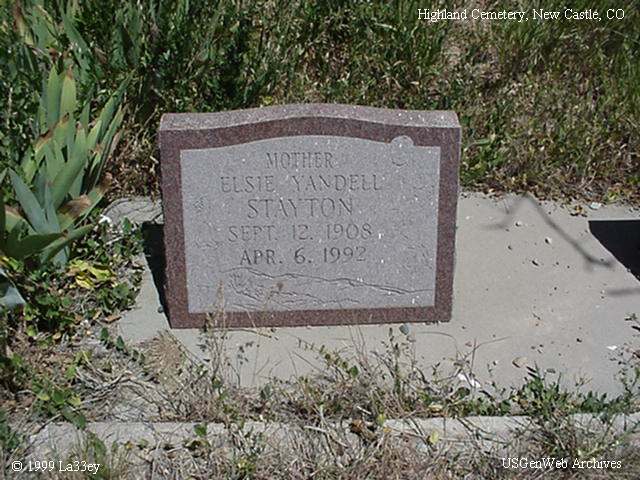 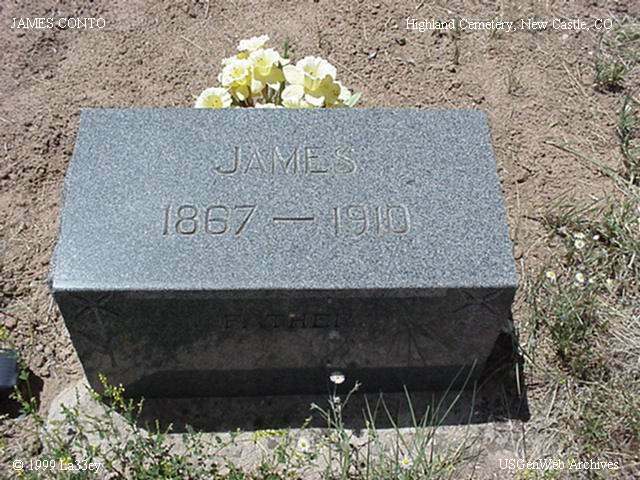 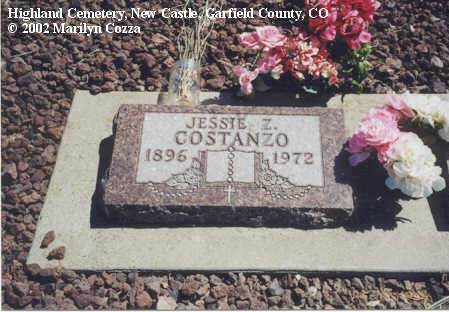 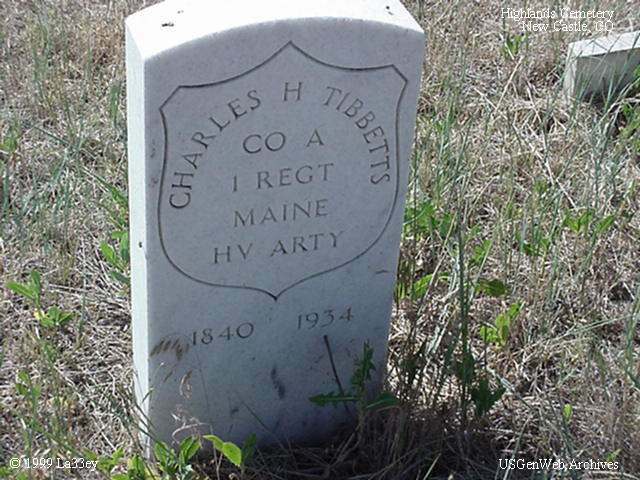 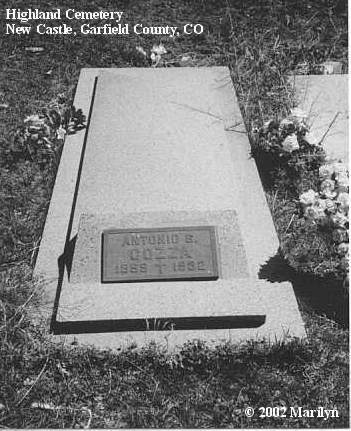 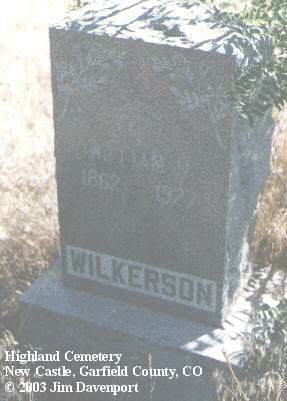 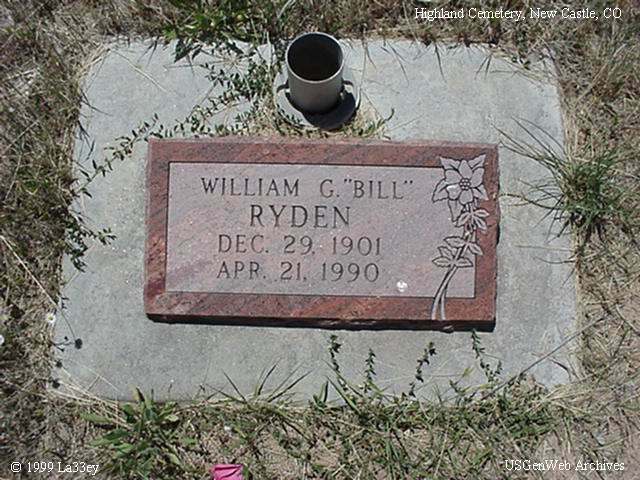 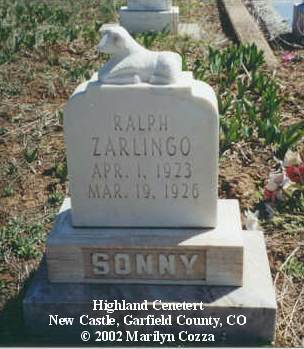 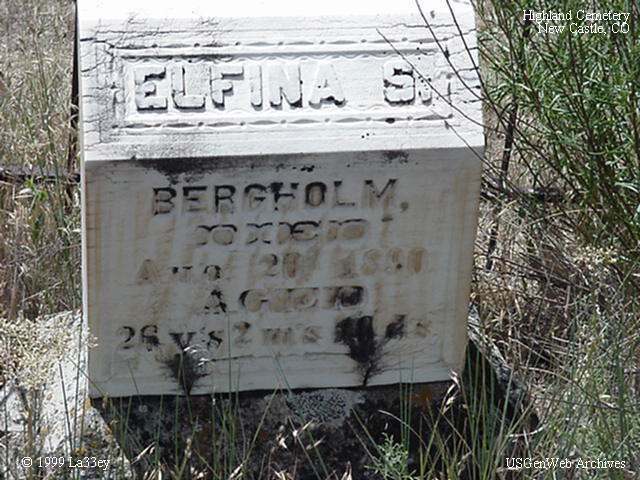 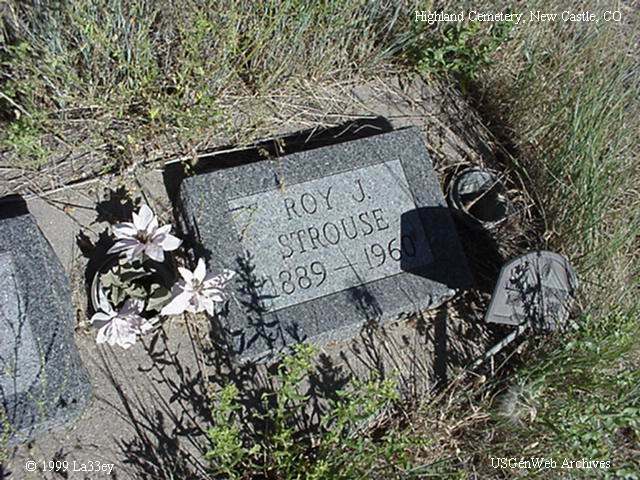 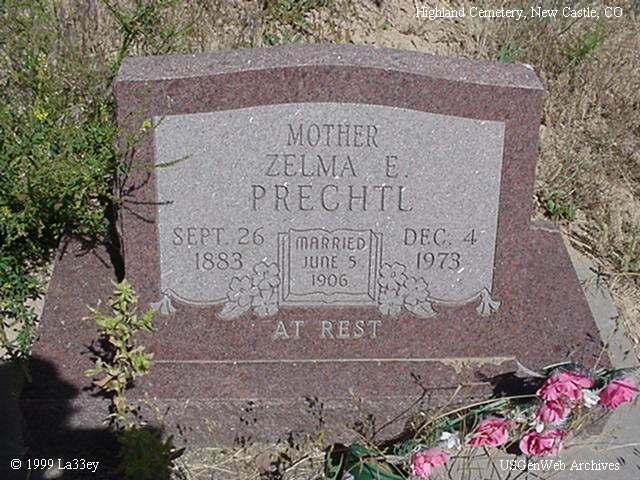 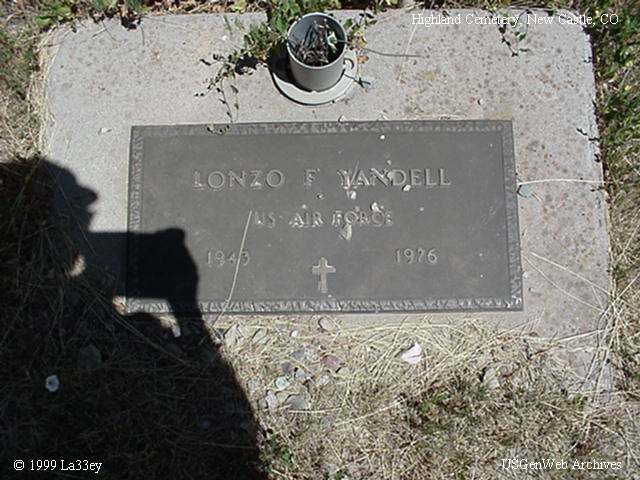 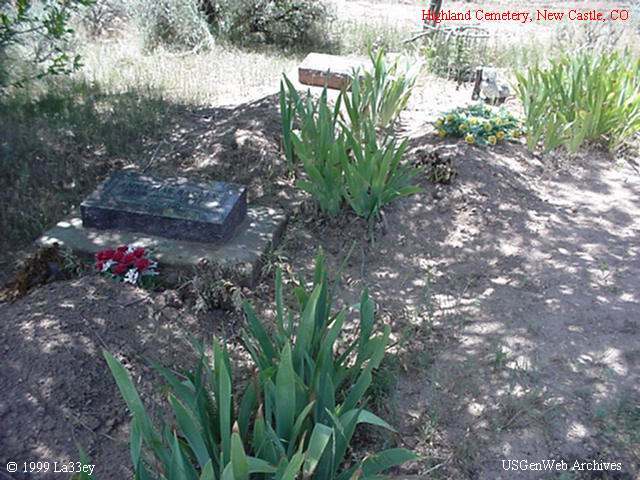 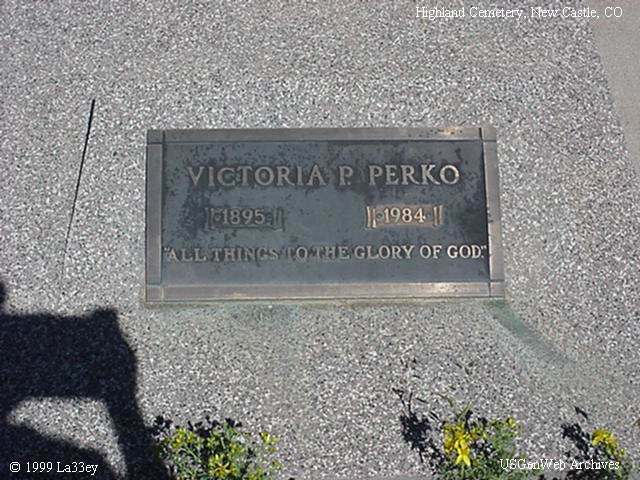 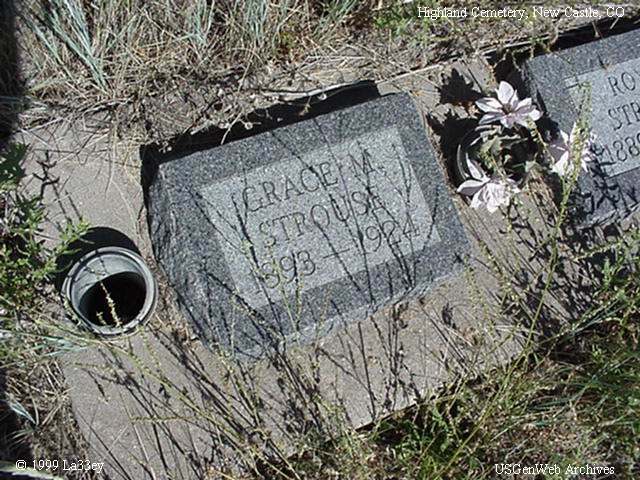 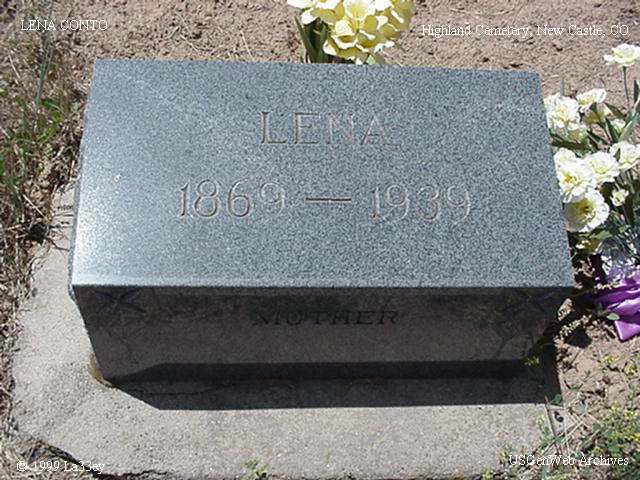 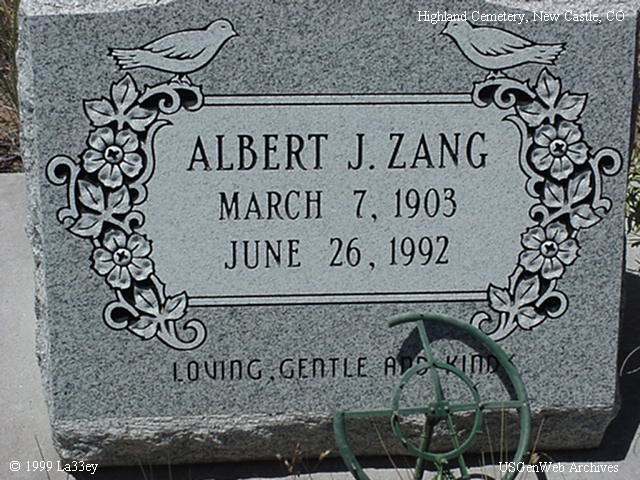 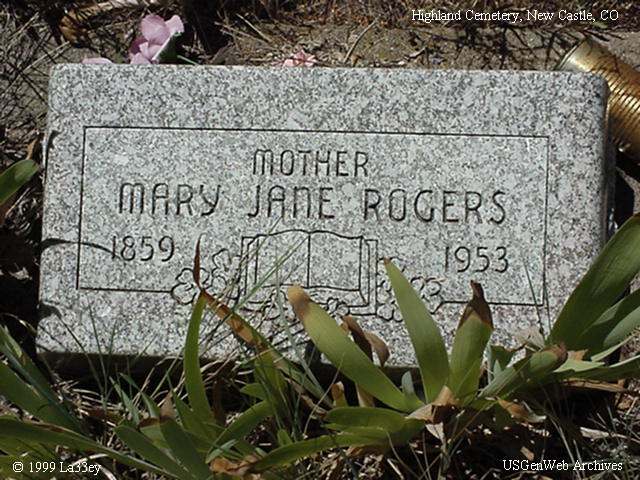 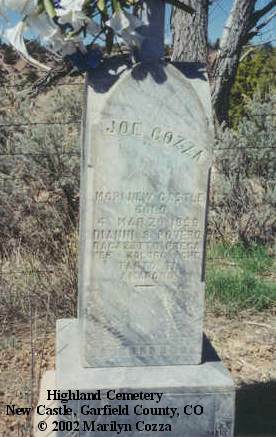 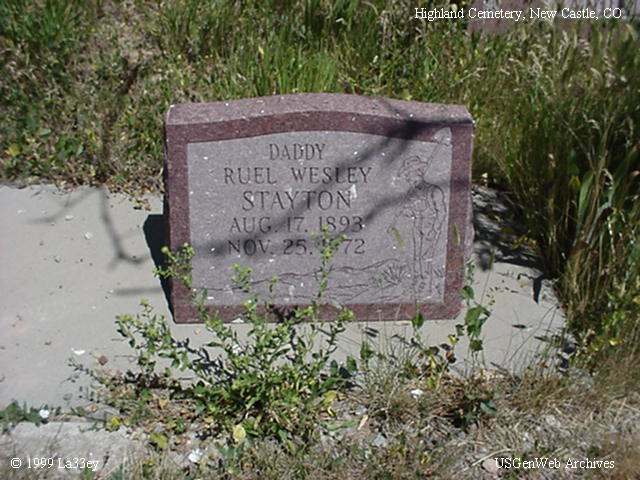 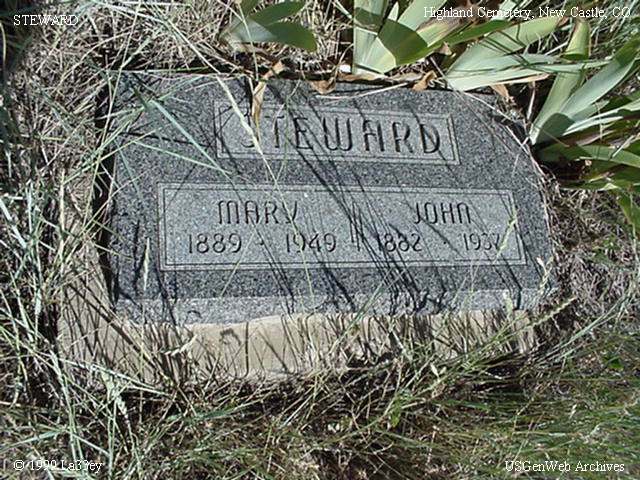 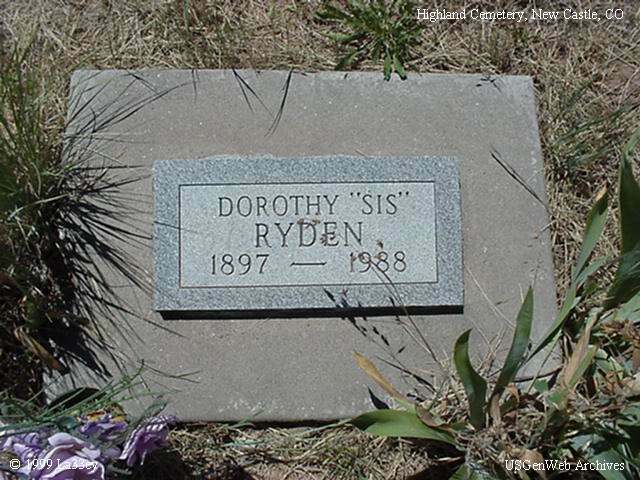 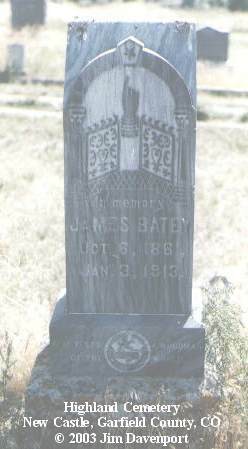 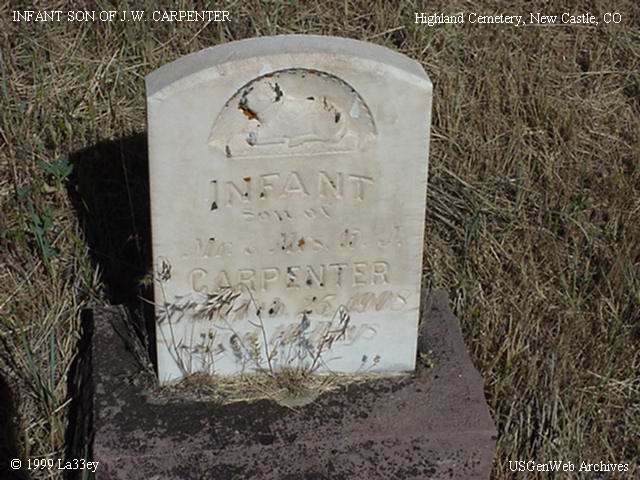 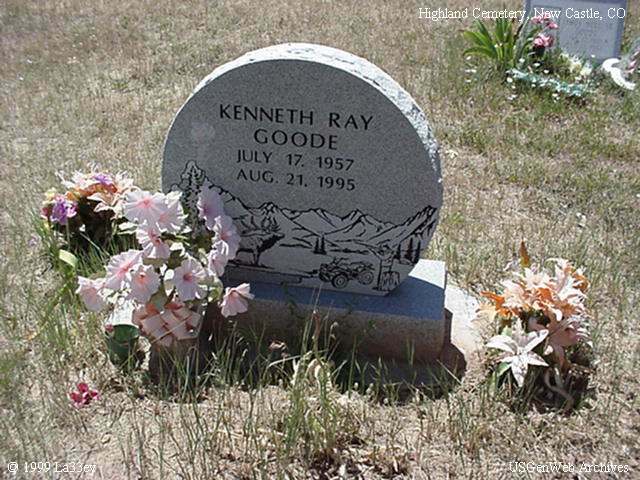 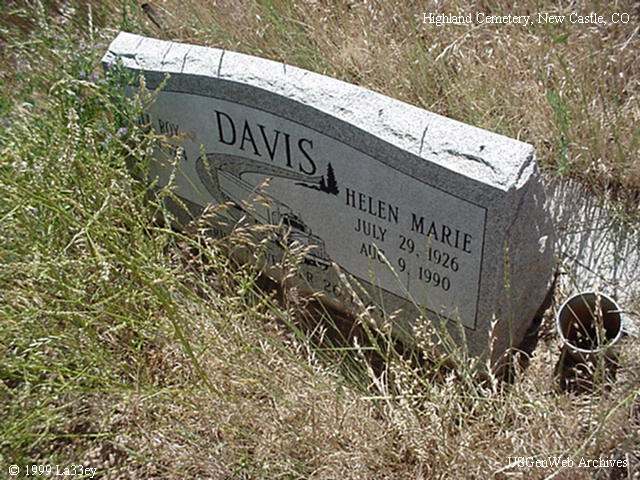 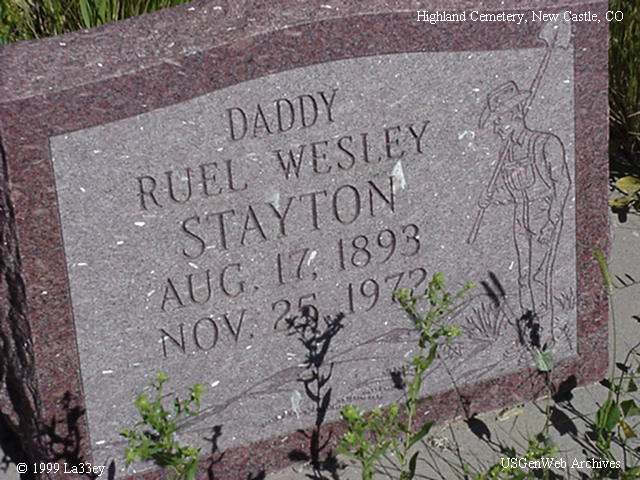 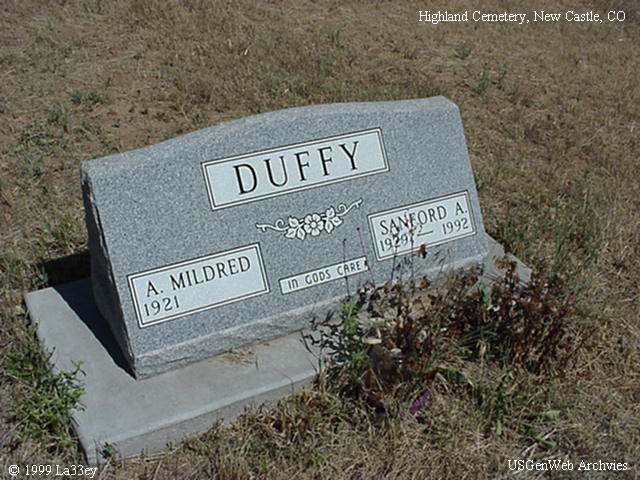 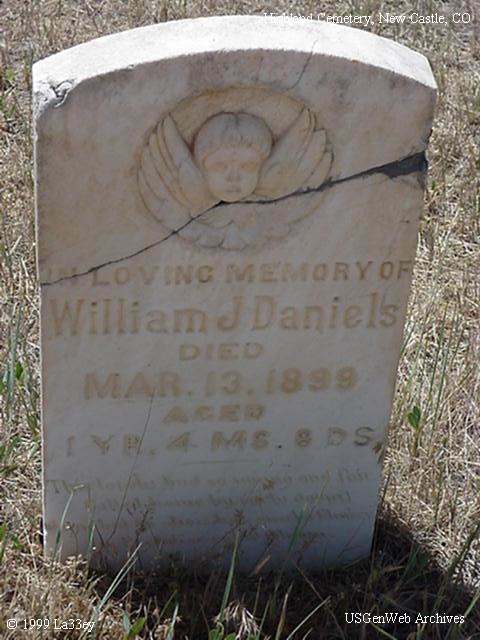 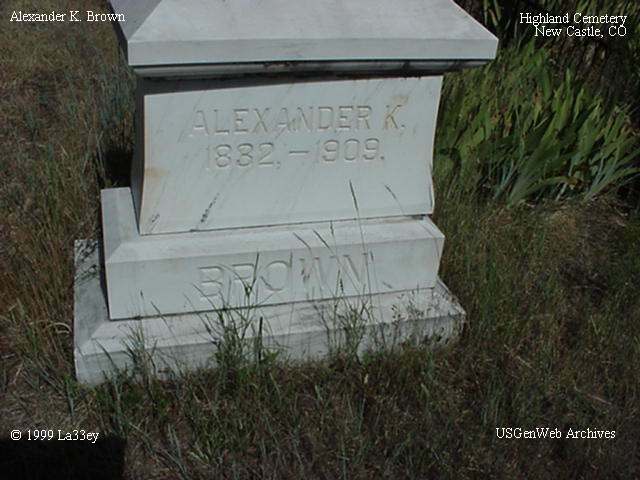 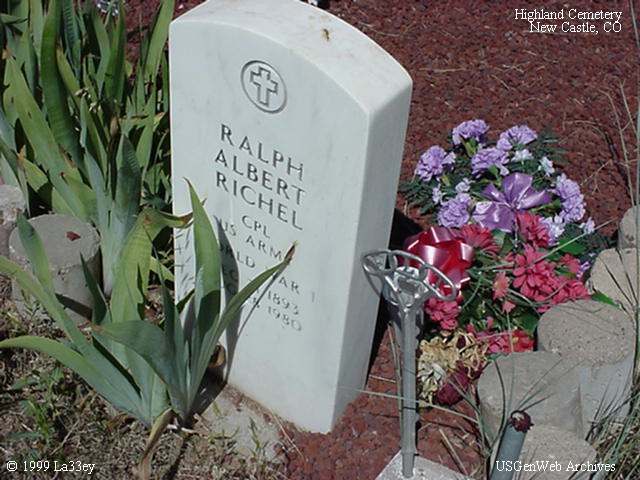 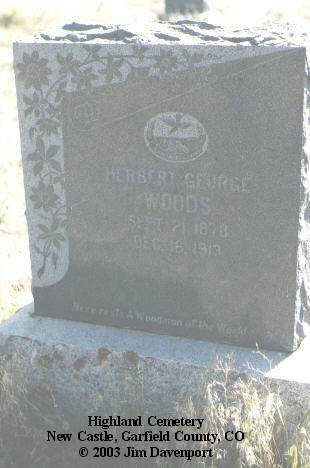 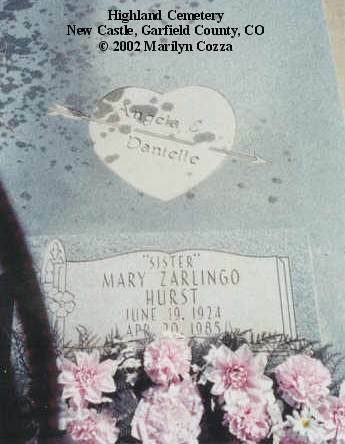 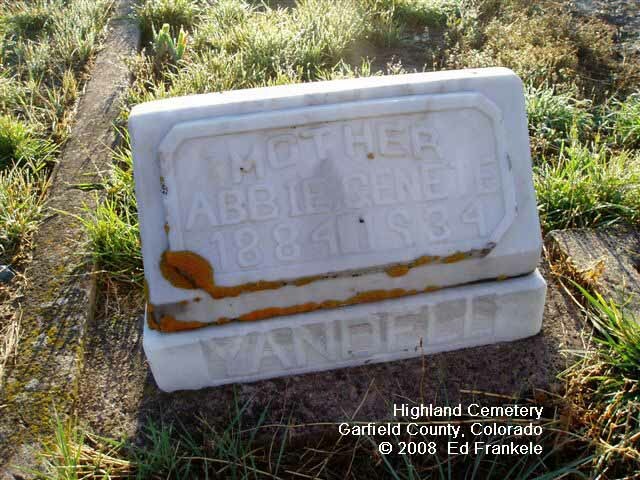 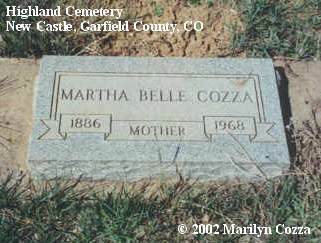 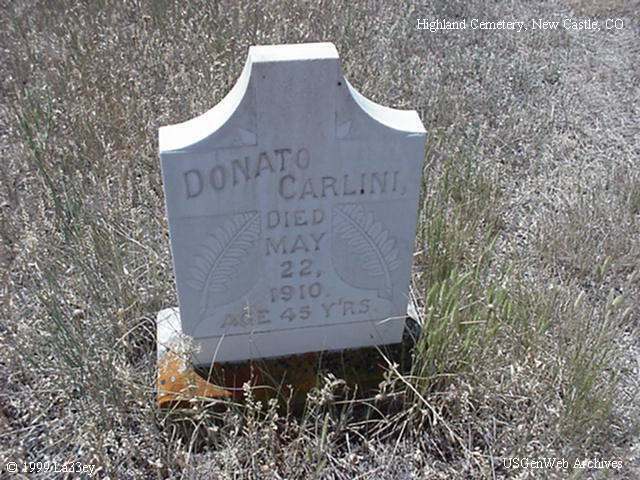 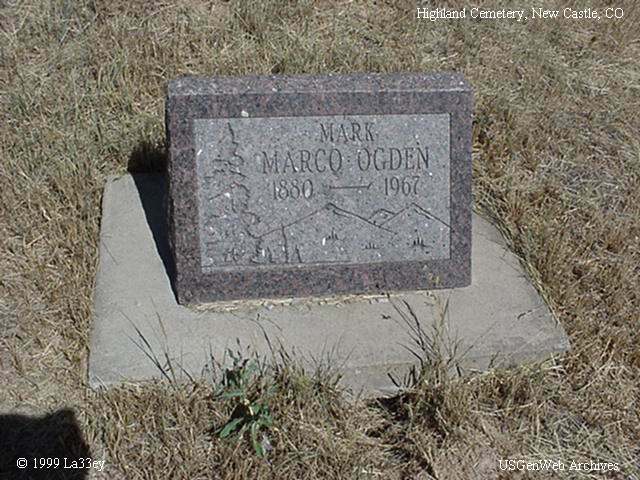 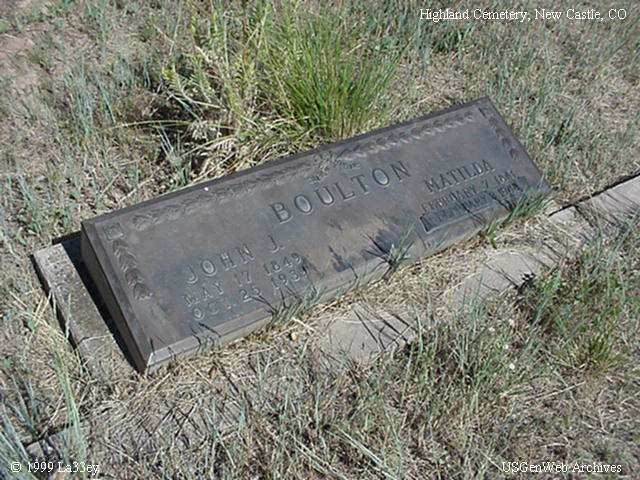 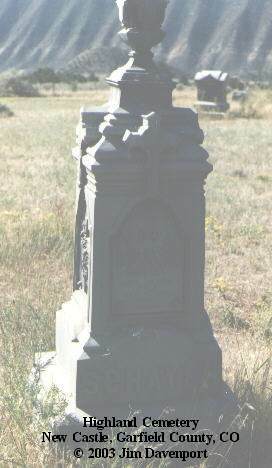 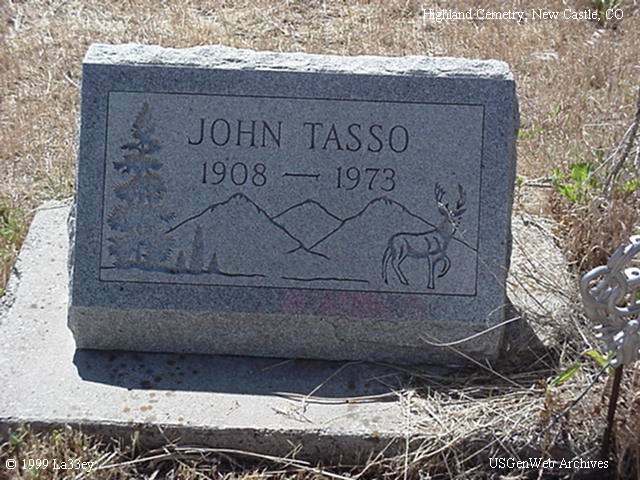 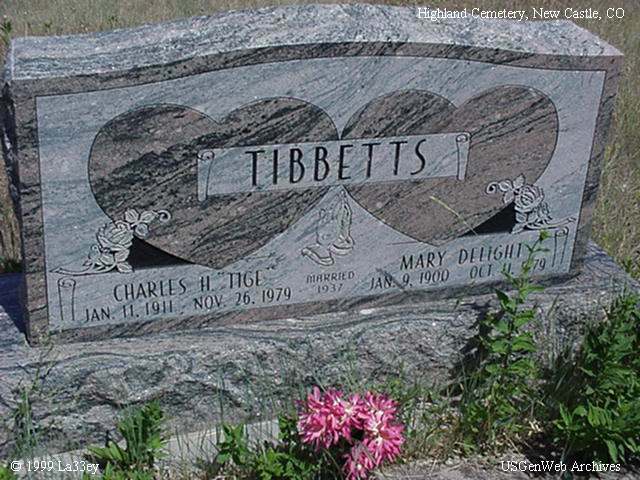 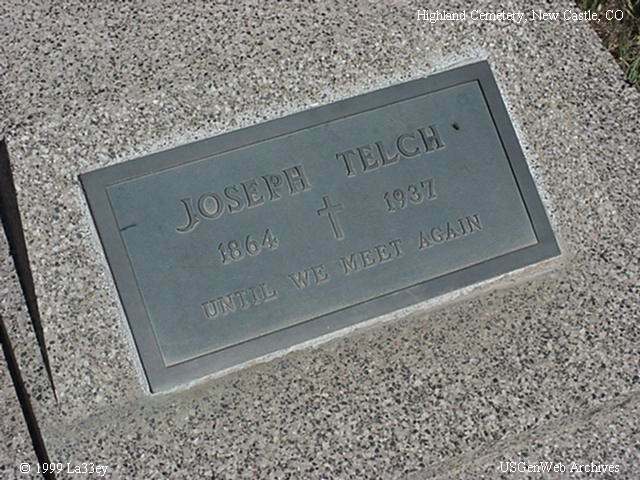 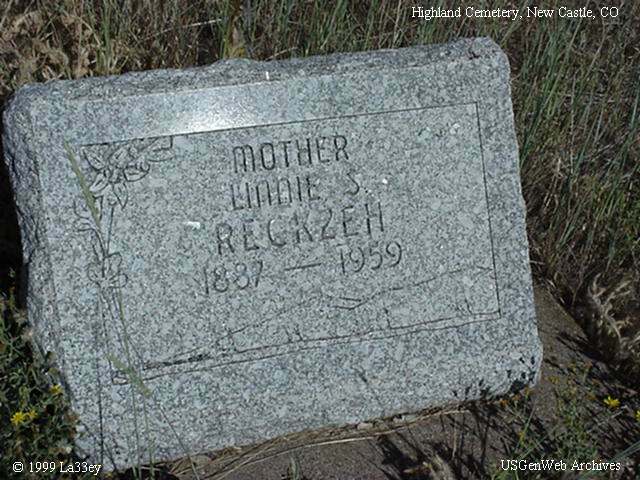 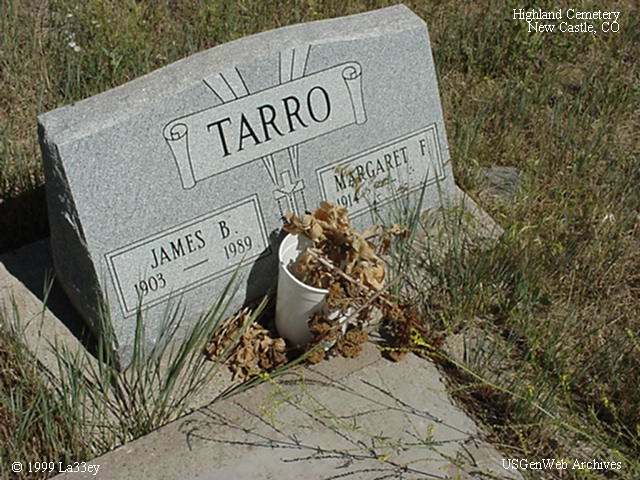 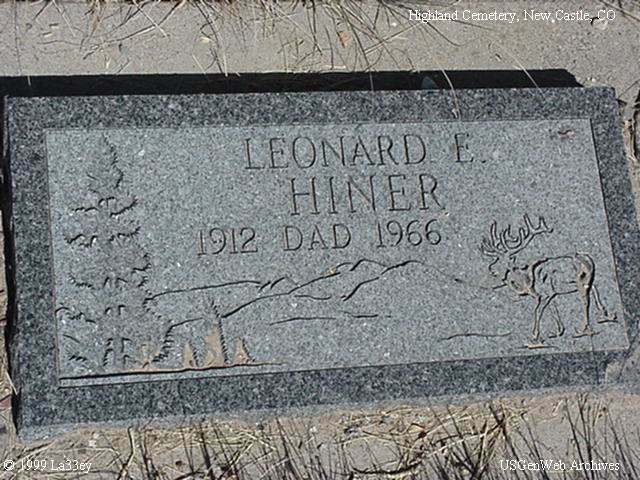 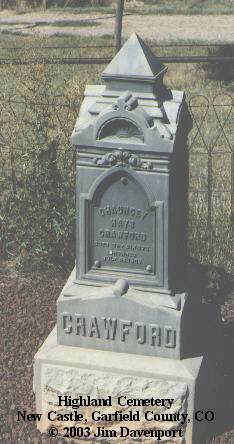 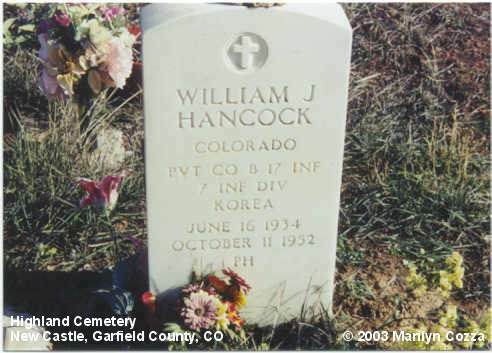 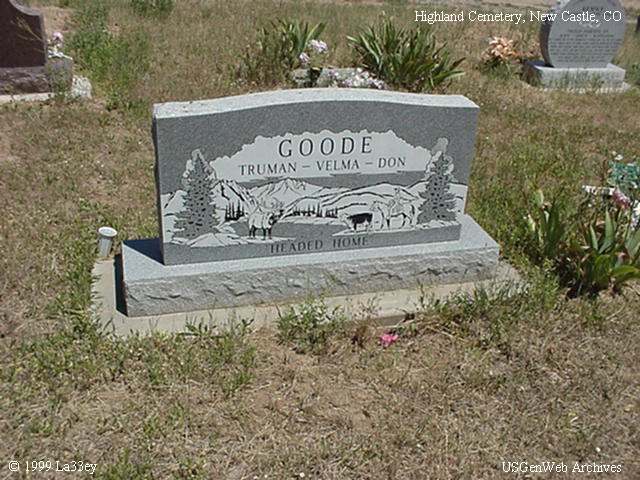 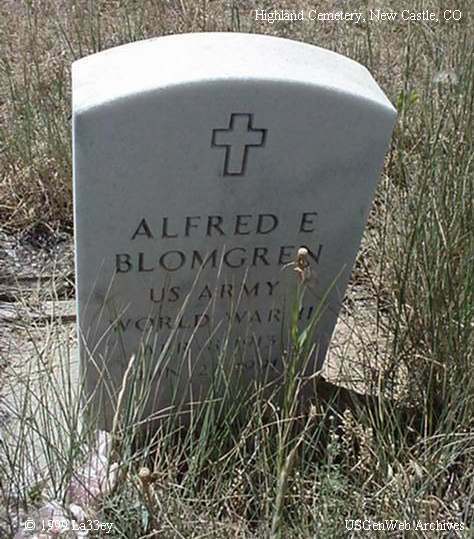 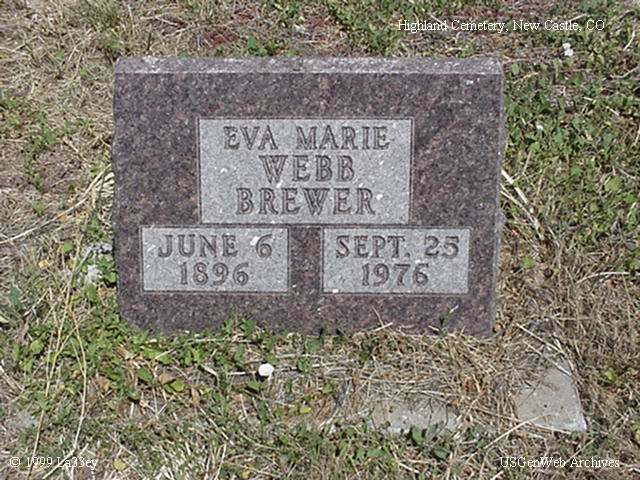 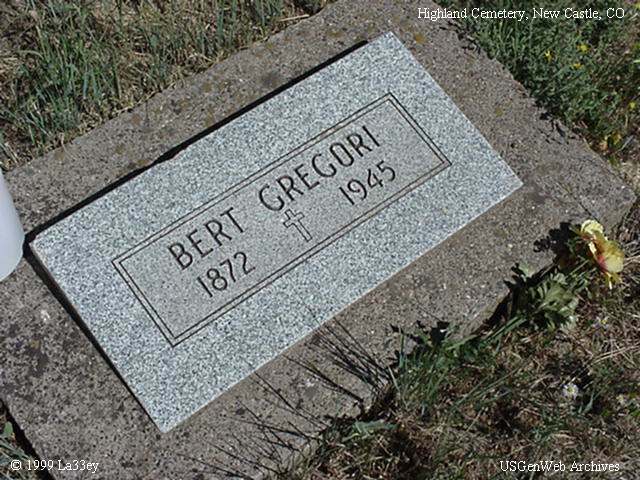 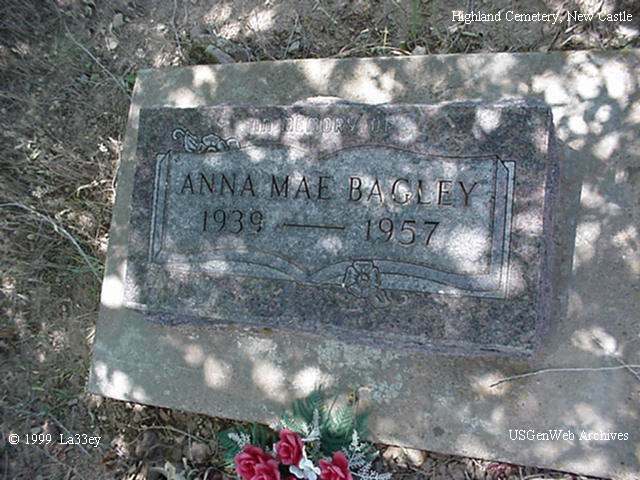 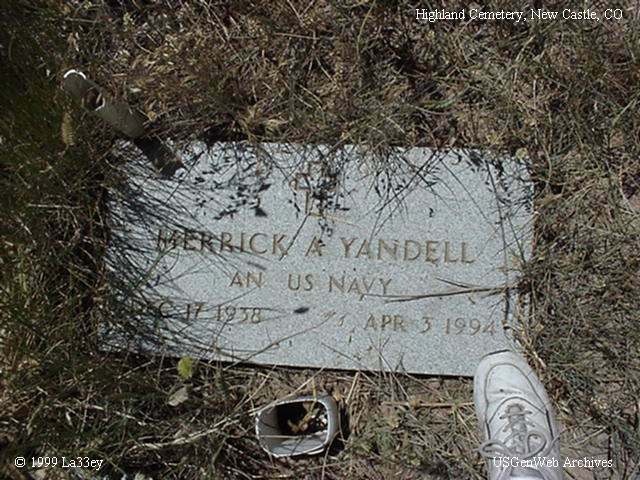 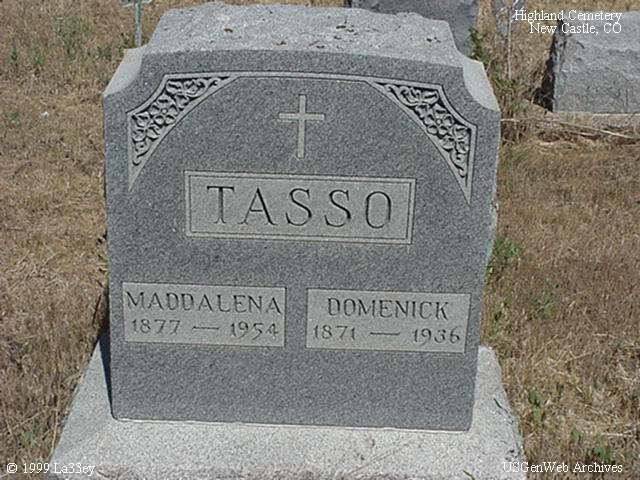 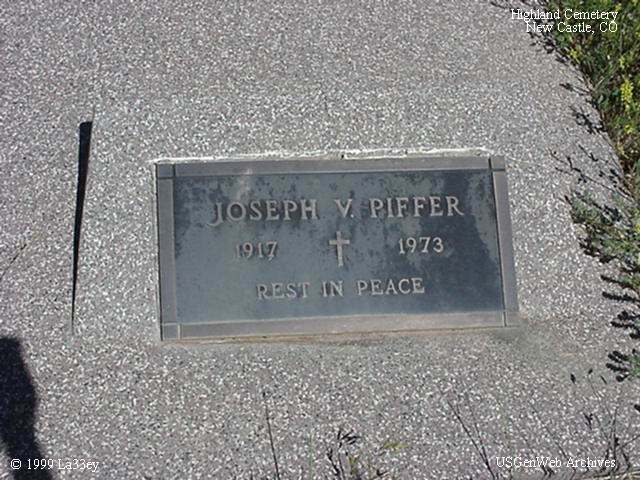 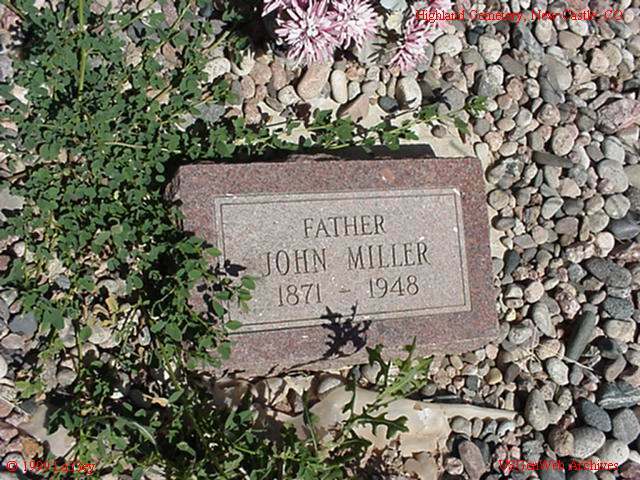 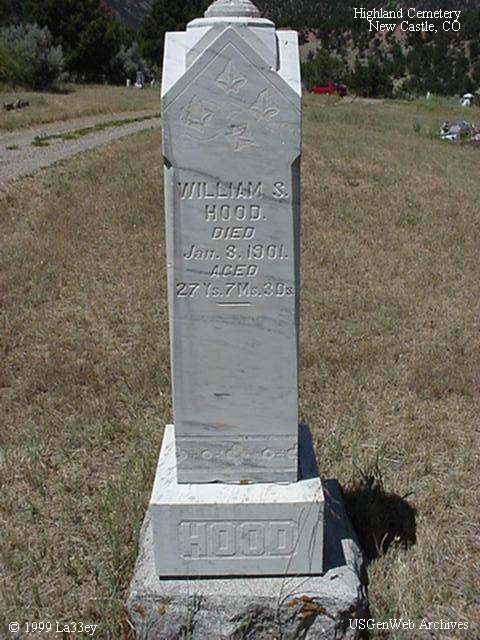 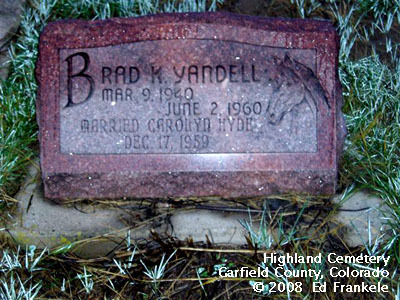 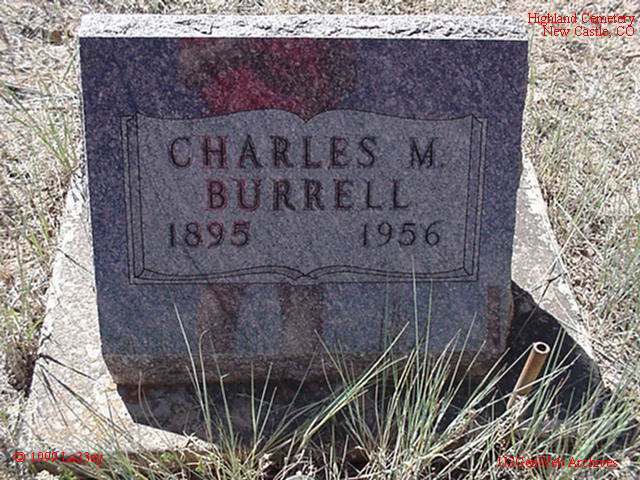 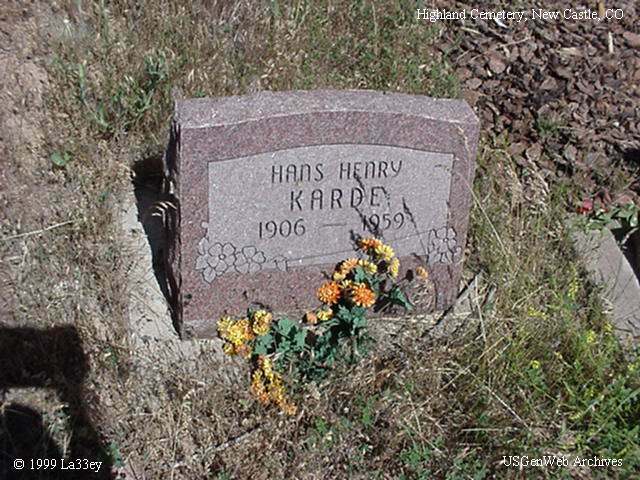 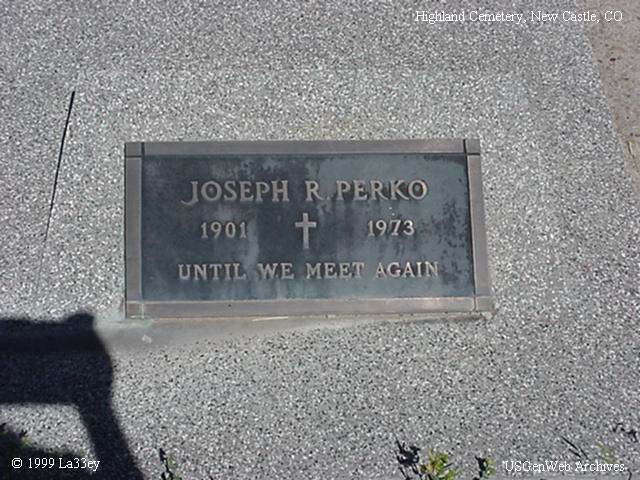 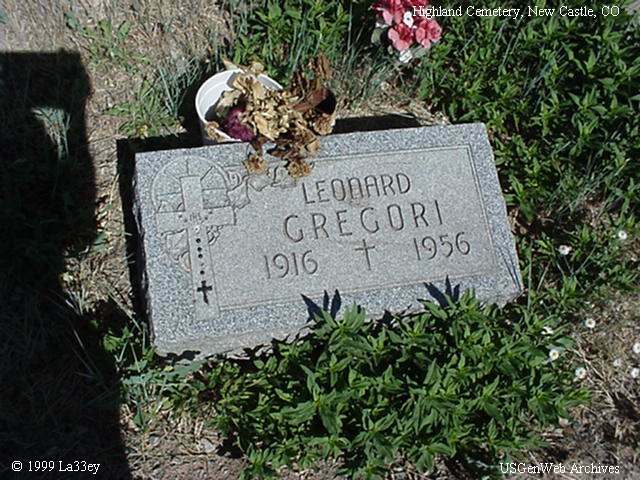 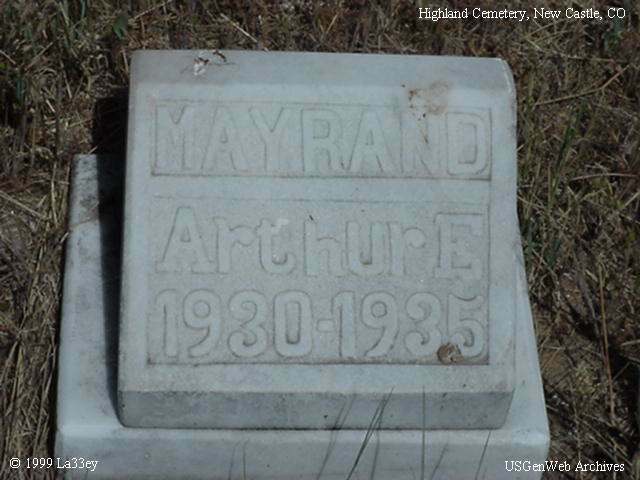 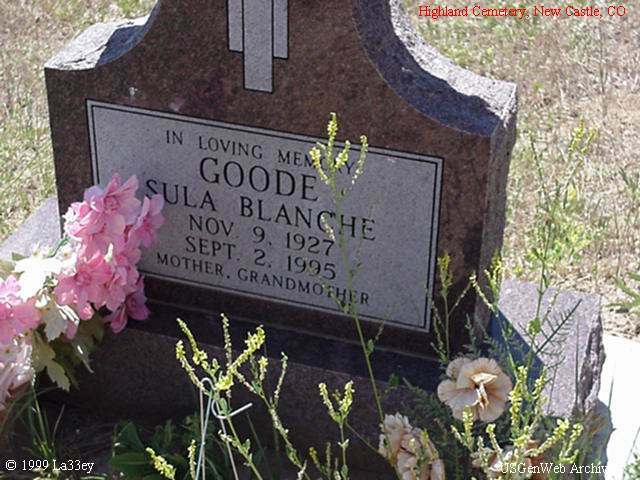 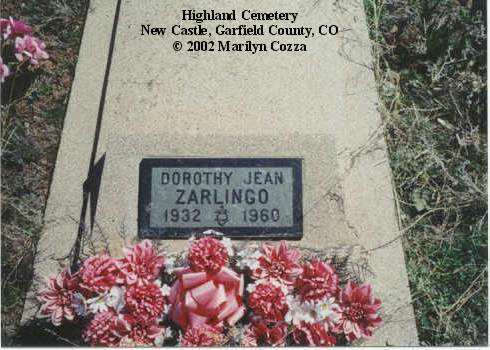 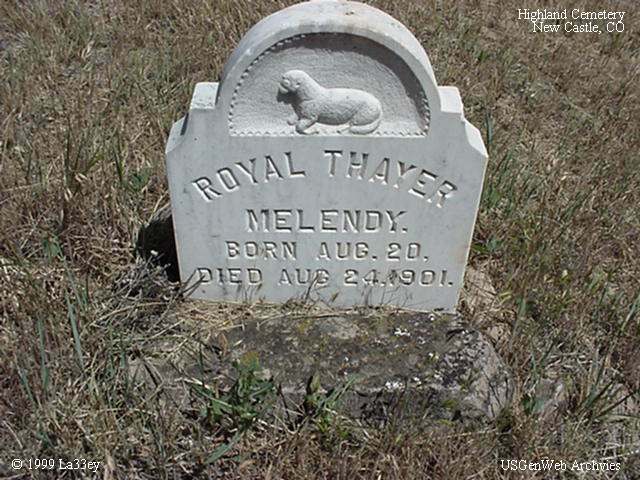 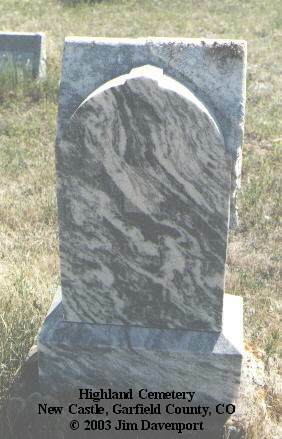 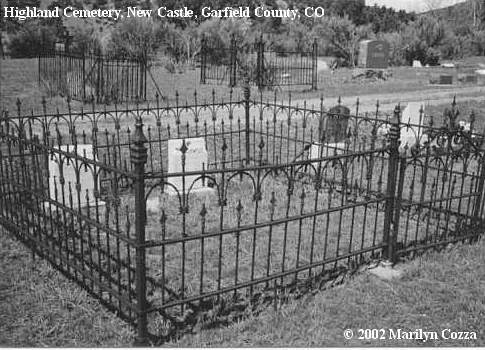 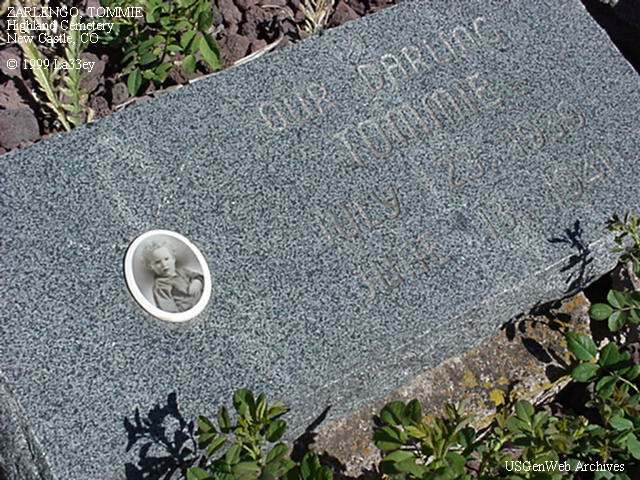 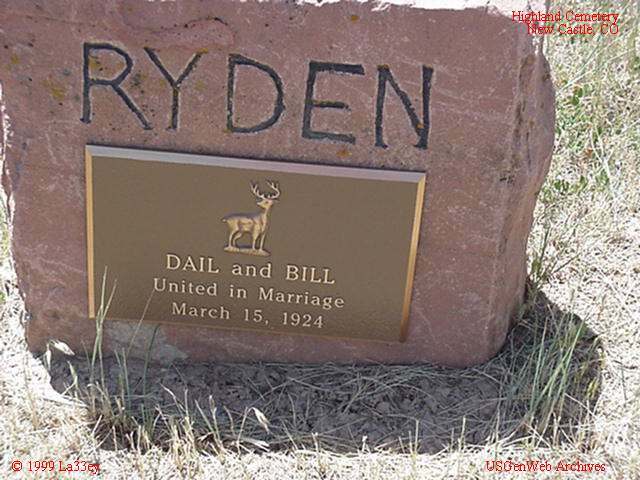 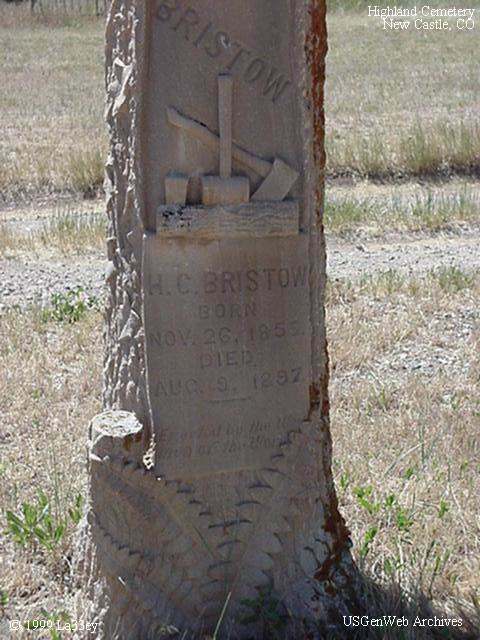 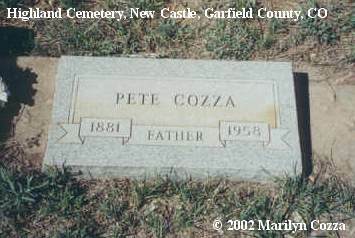 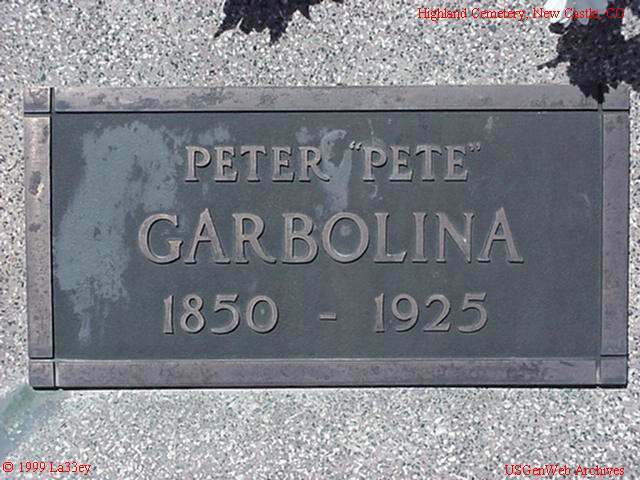 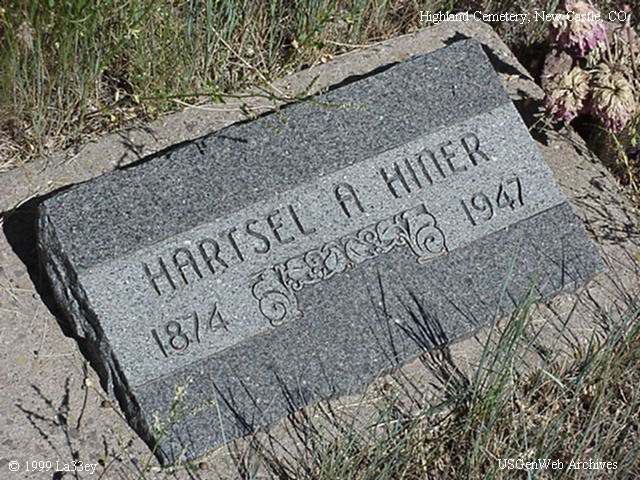 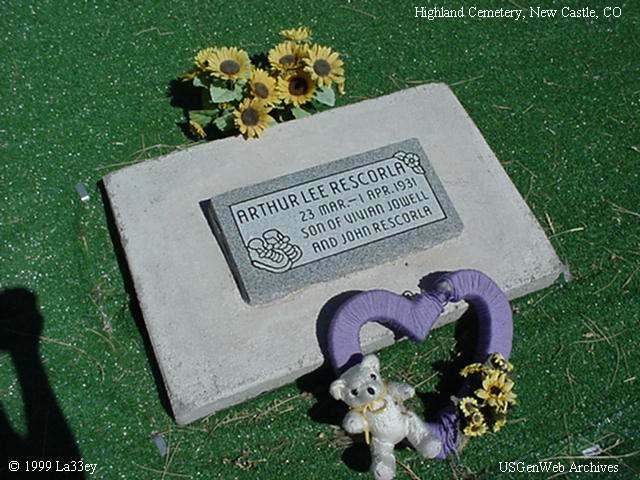 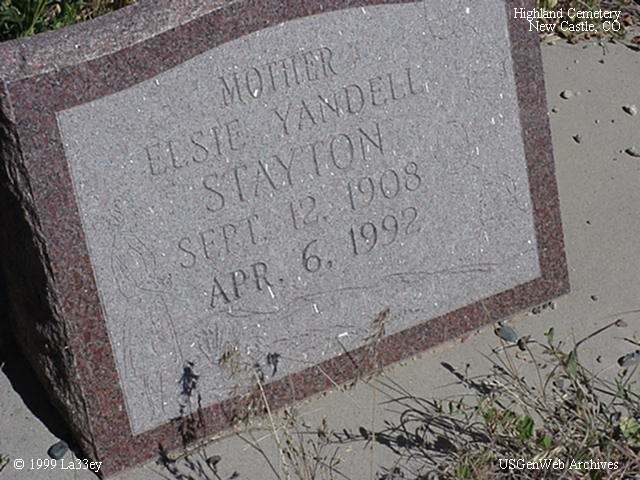 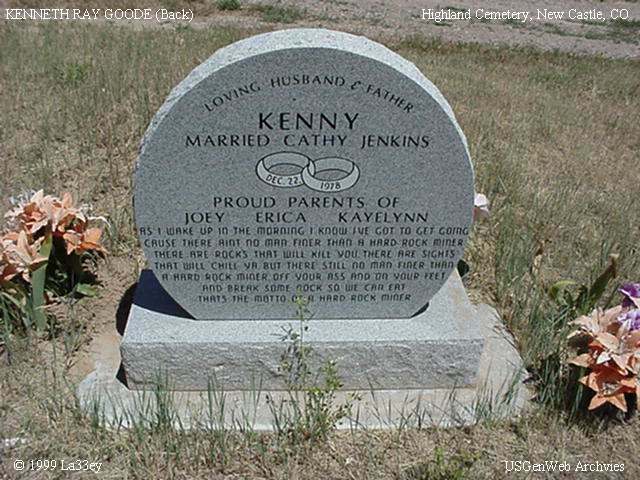 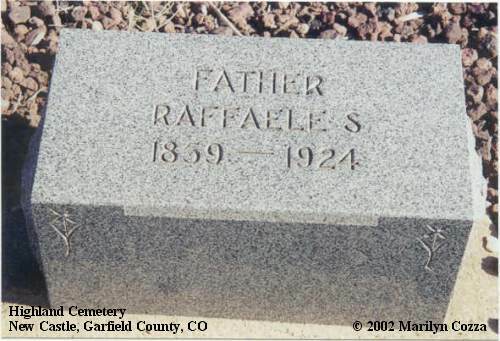 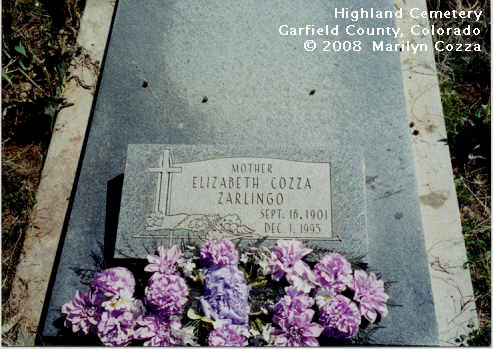 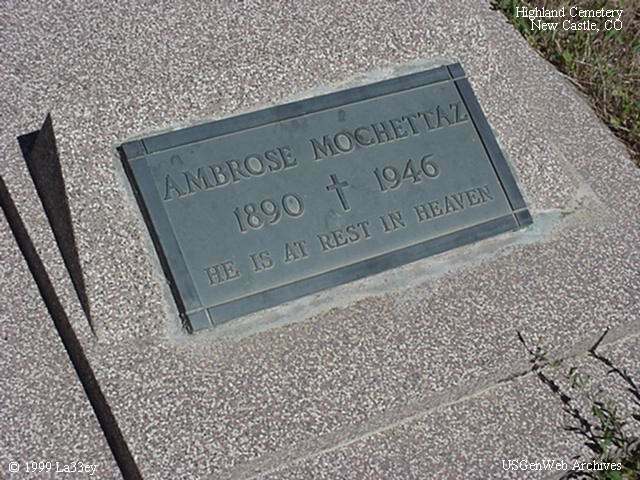 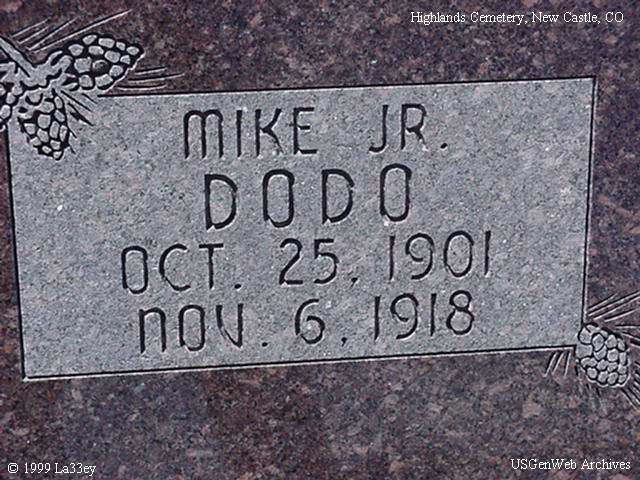 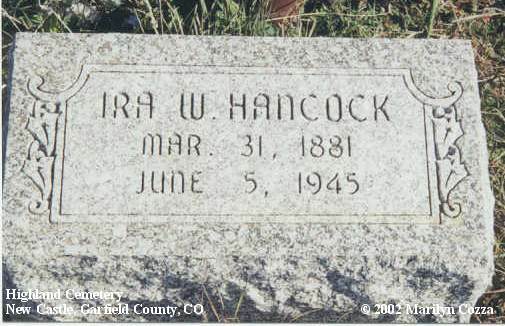 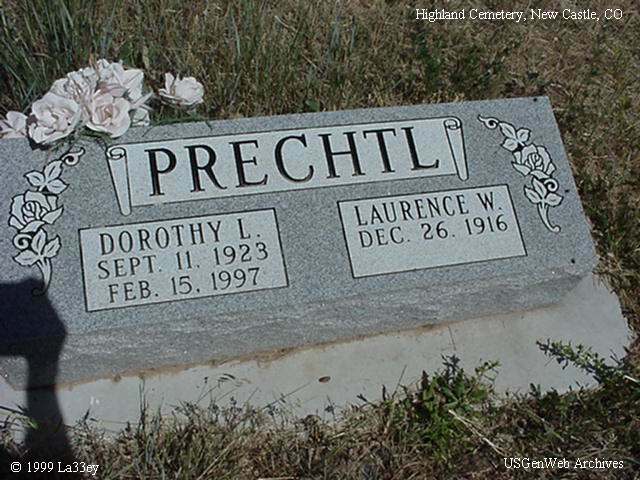 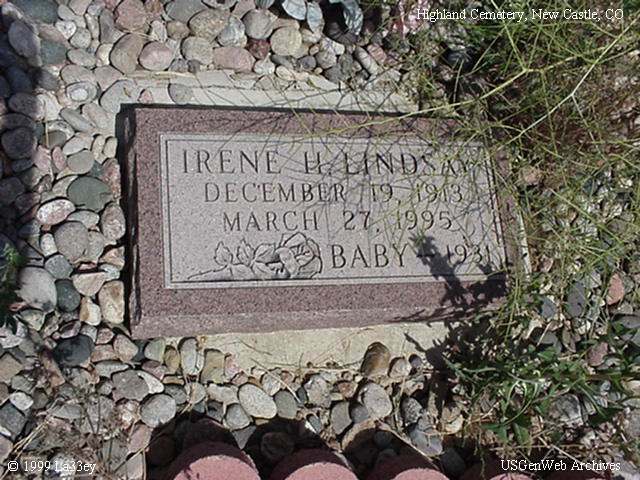 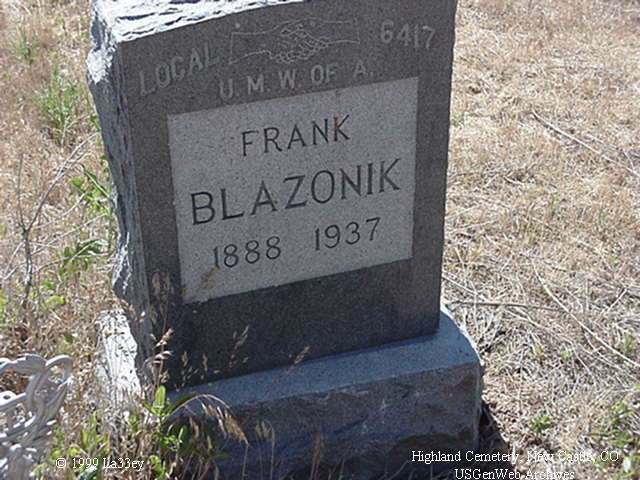 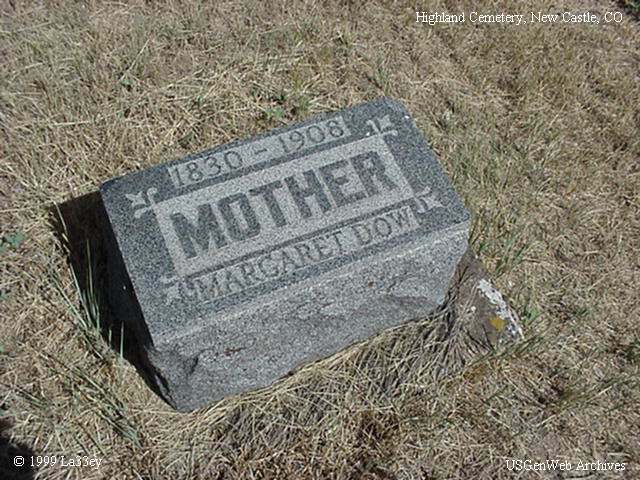 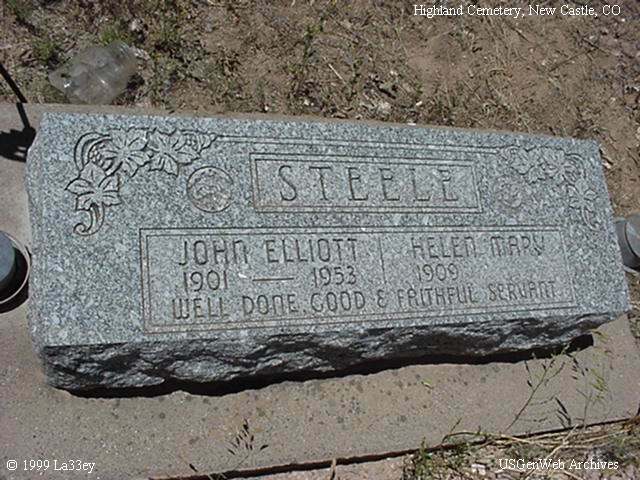 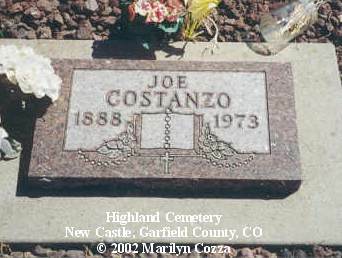 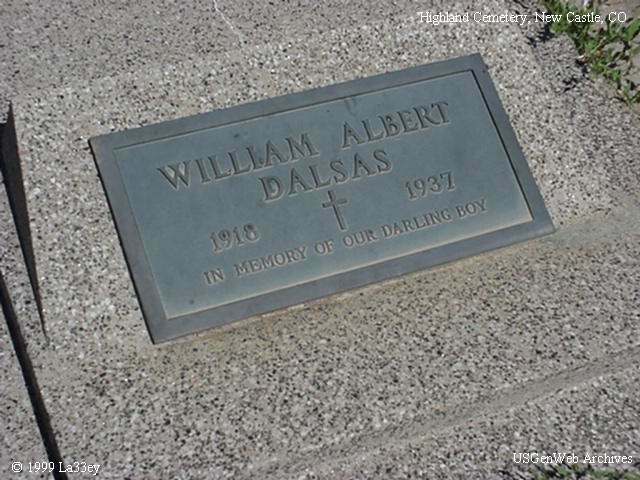 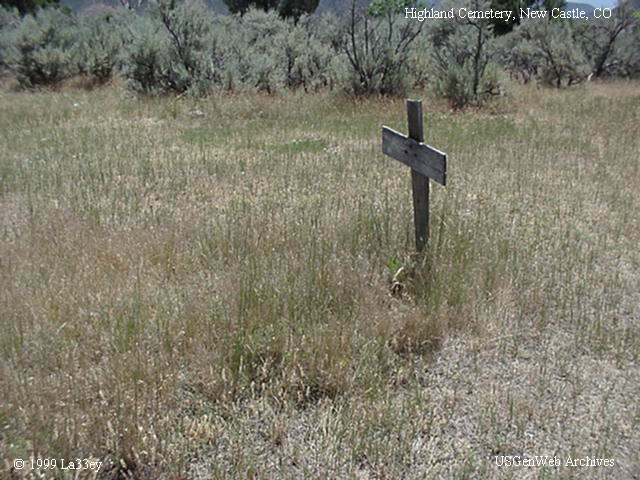 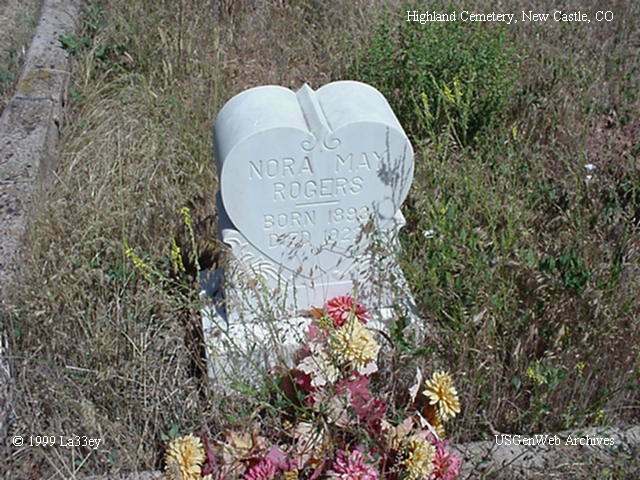 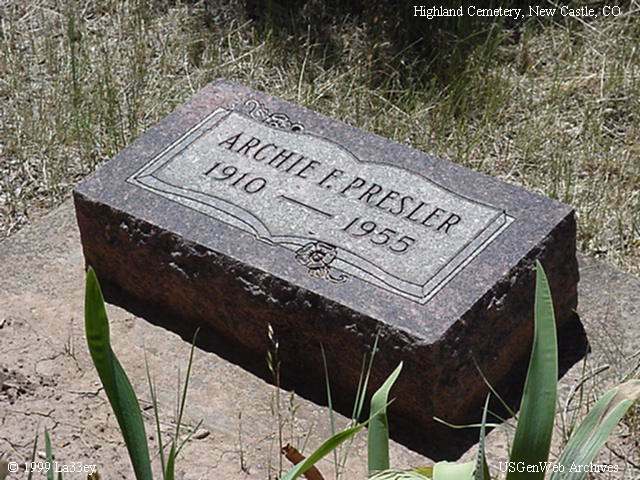 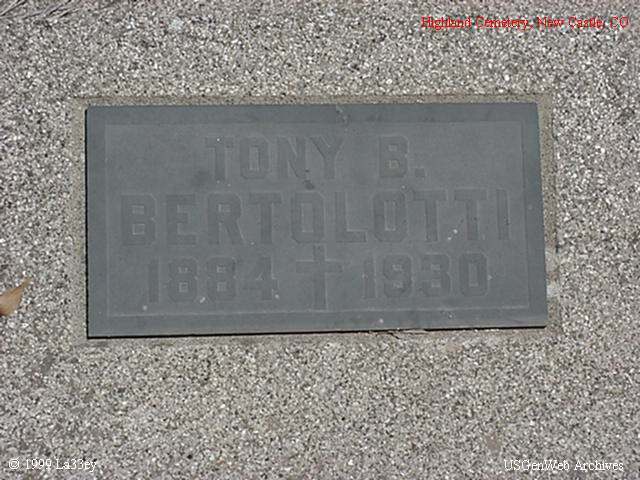 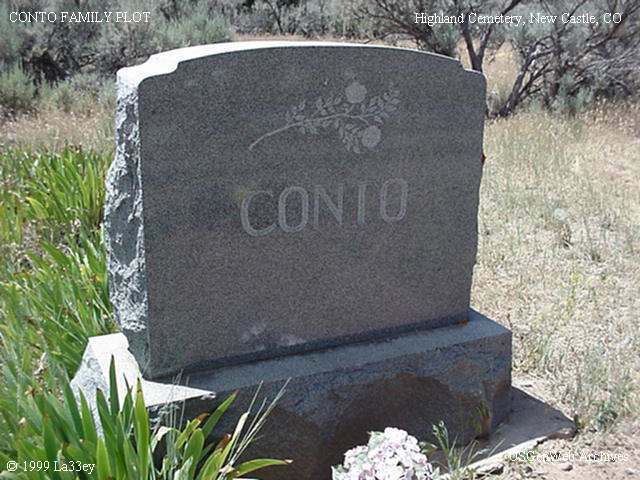 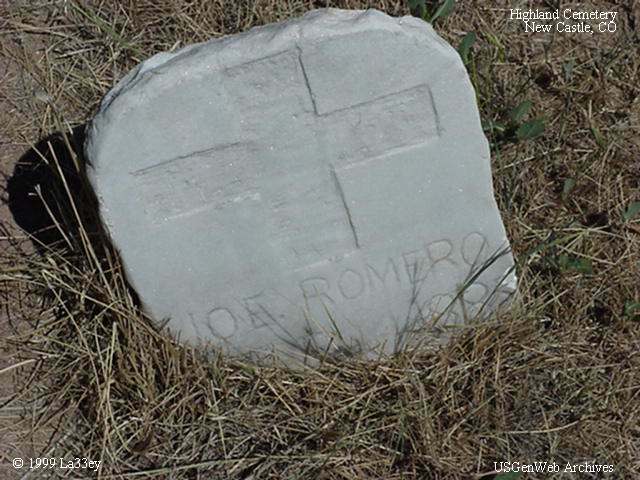 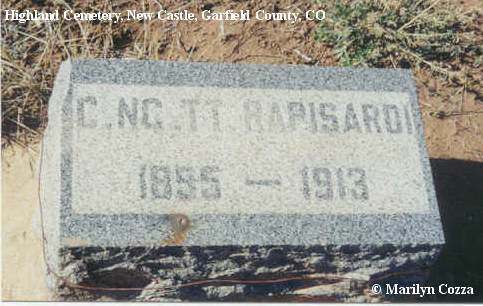 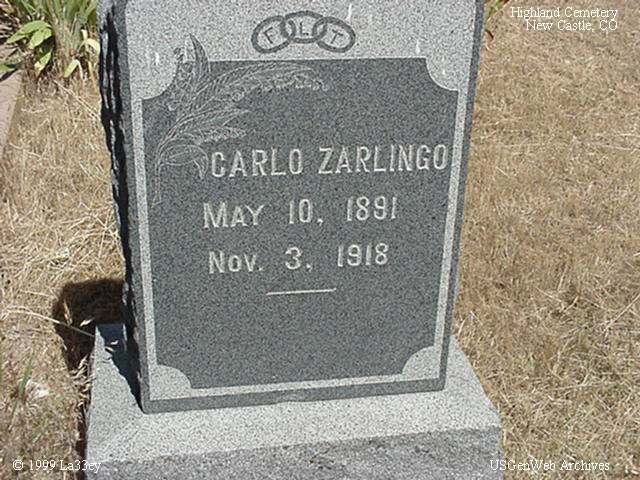 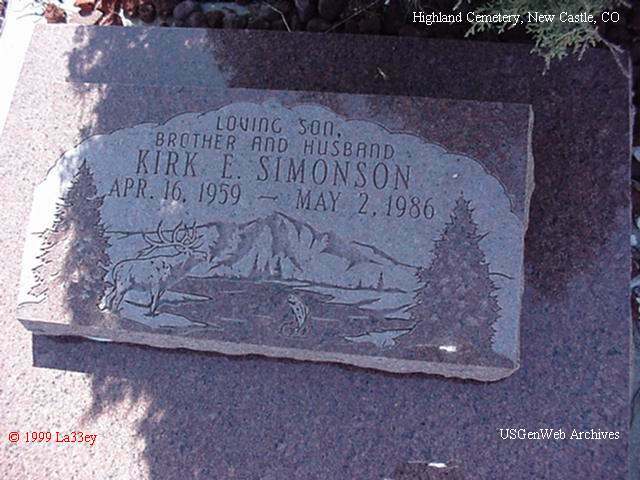 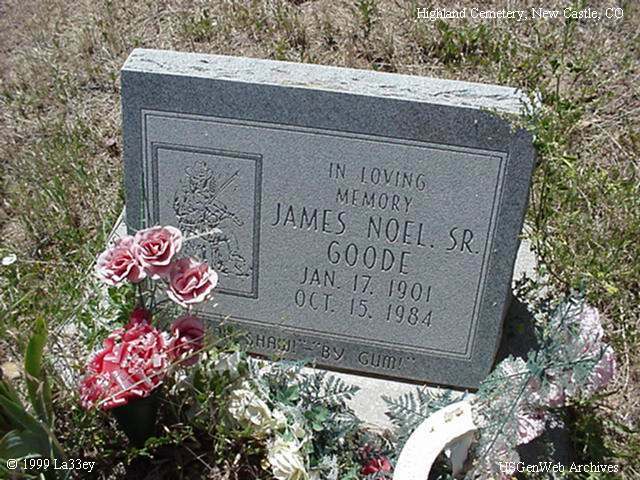 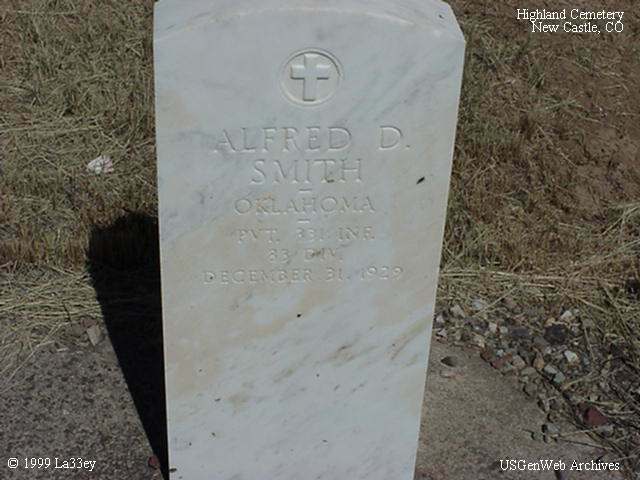 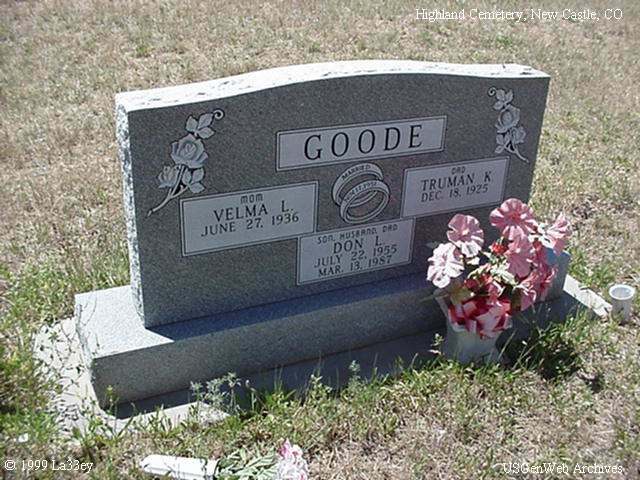 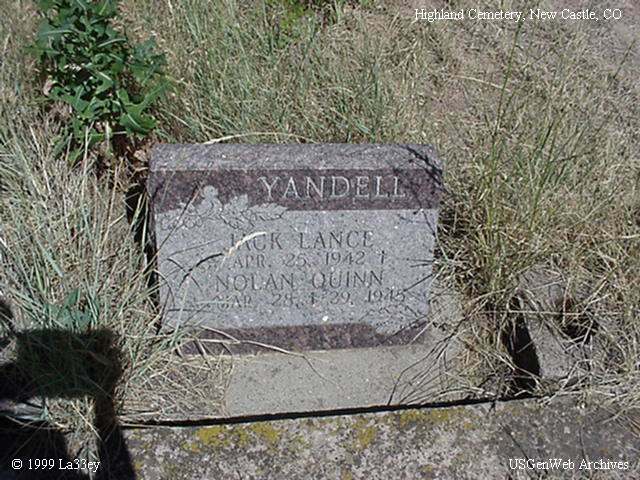 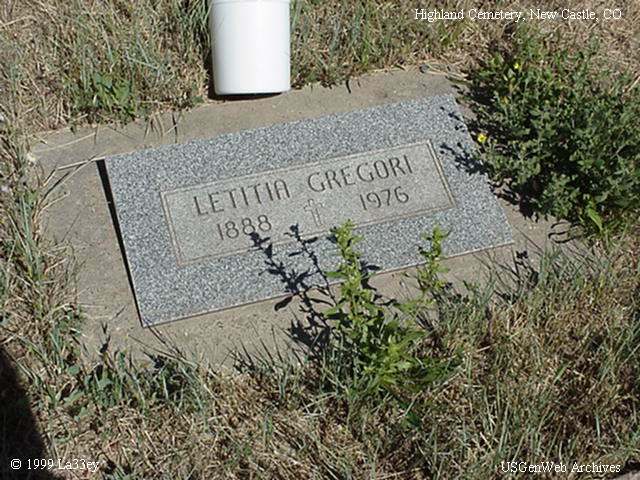 Click on the underlined name to download the tombstone photograph. 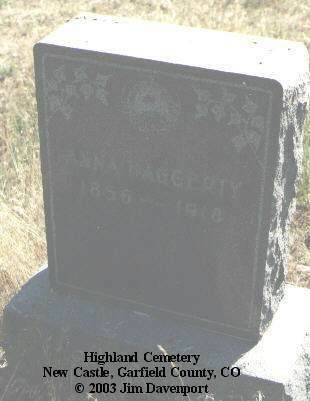 Items underlined in black have no photo. 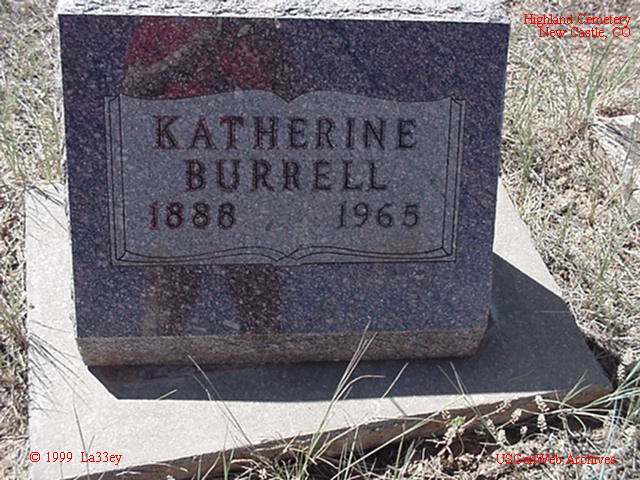 These photograph files average 65 kb and may take a while to download. 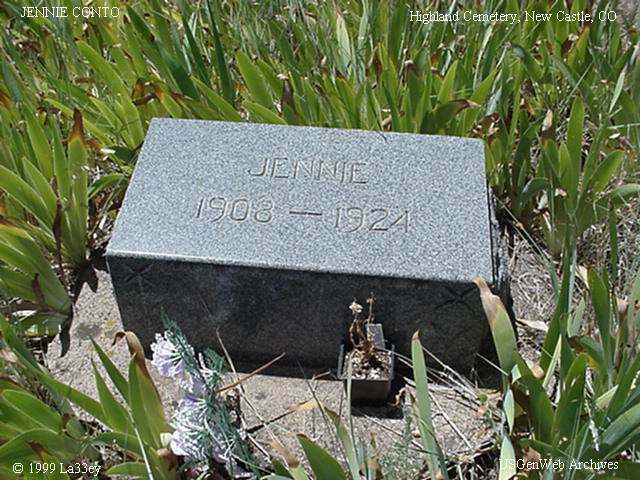 Use your browser's "Back" key to return to this index after viewing a photograph.